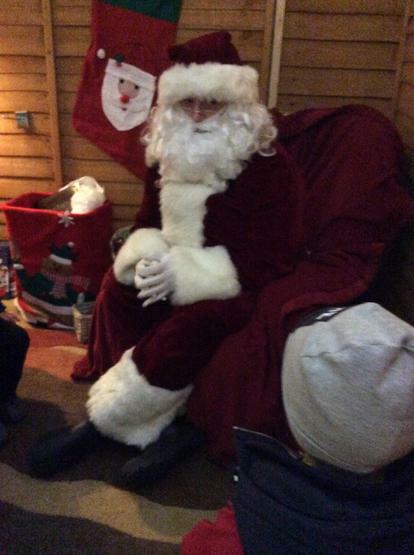 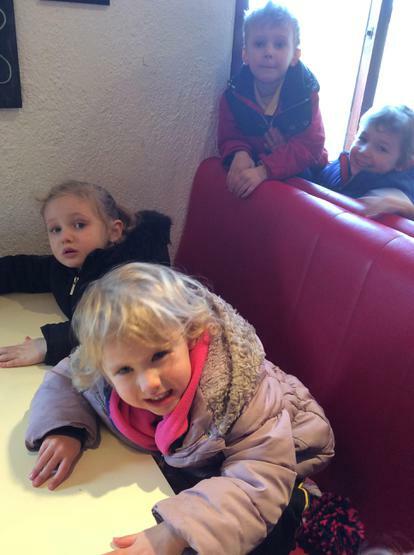 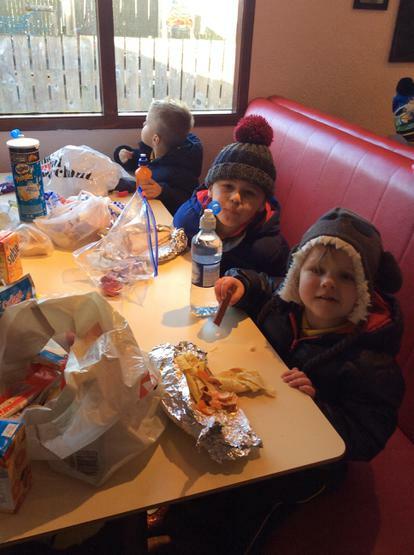 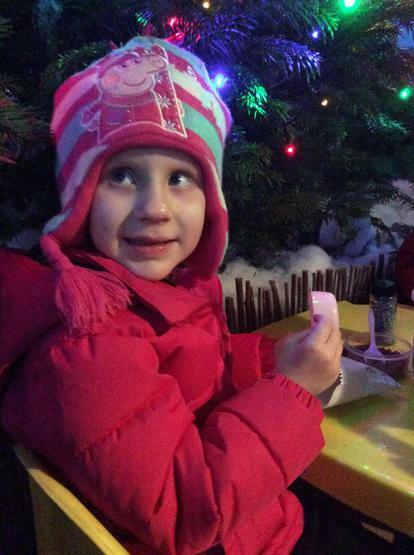 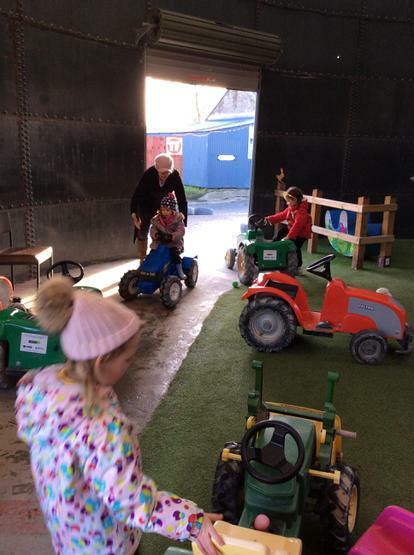 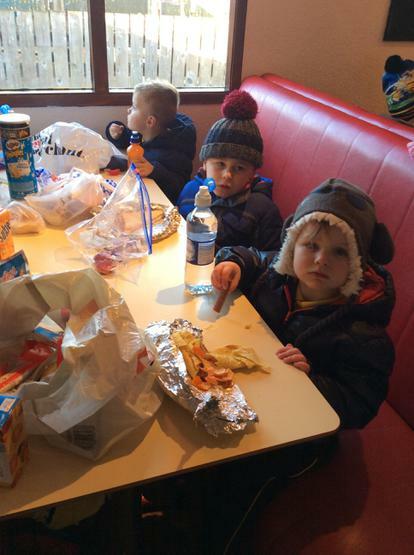 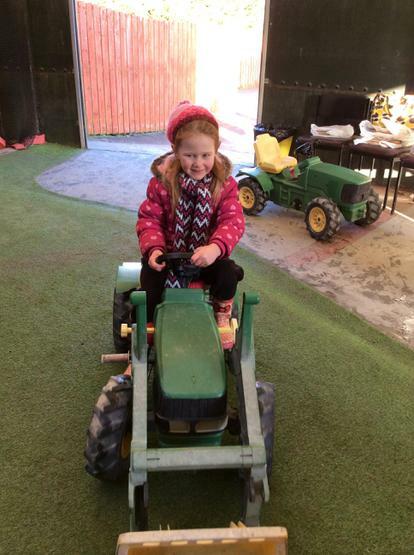 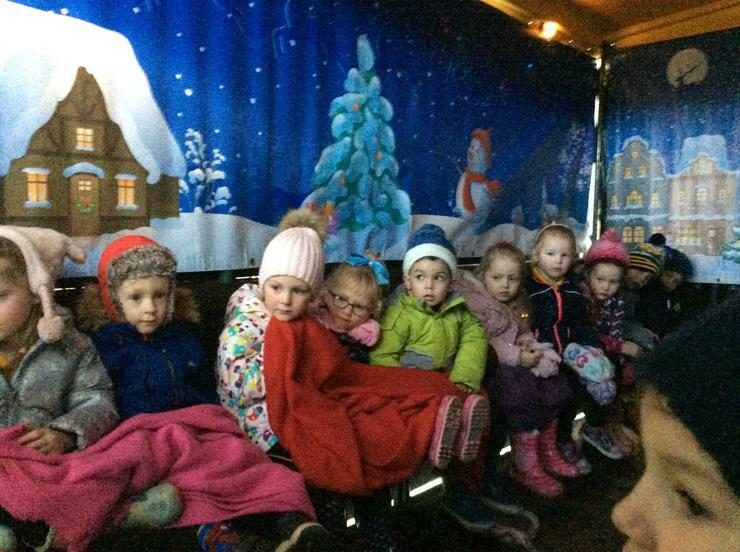 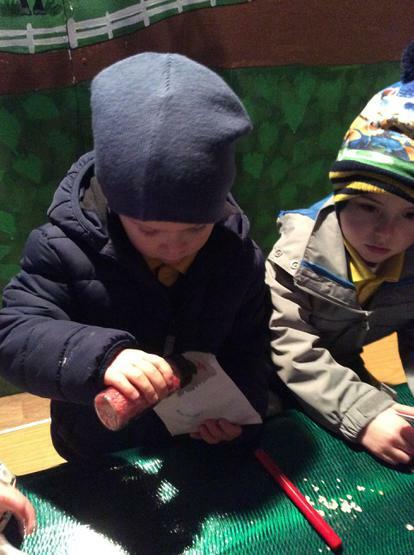 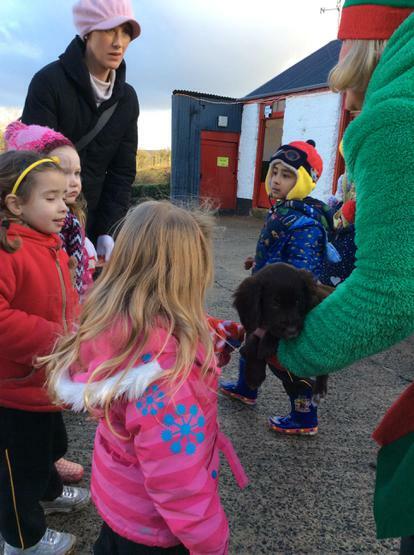 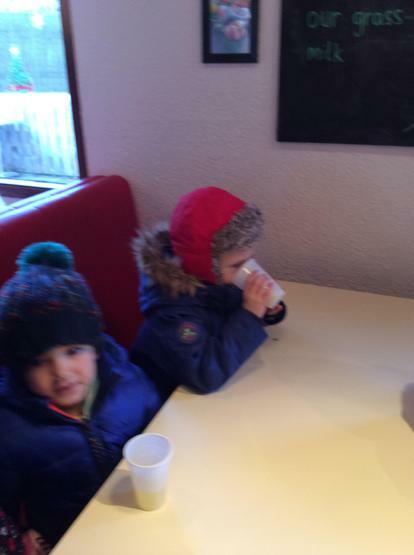 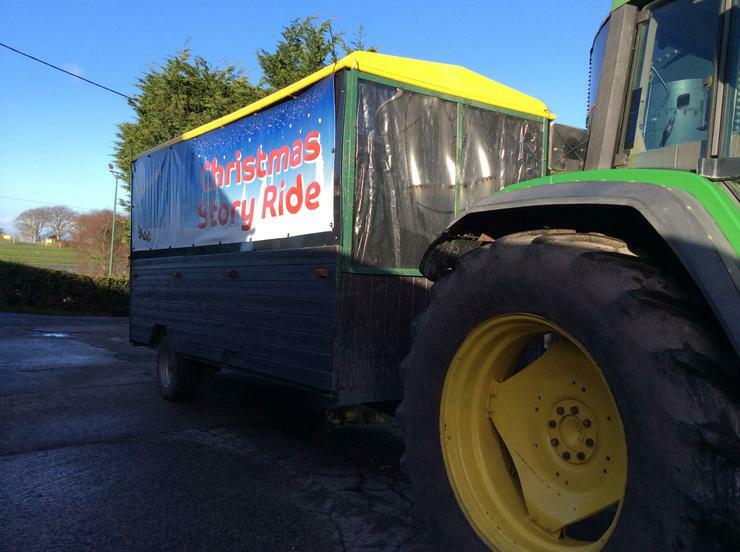 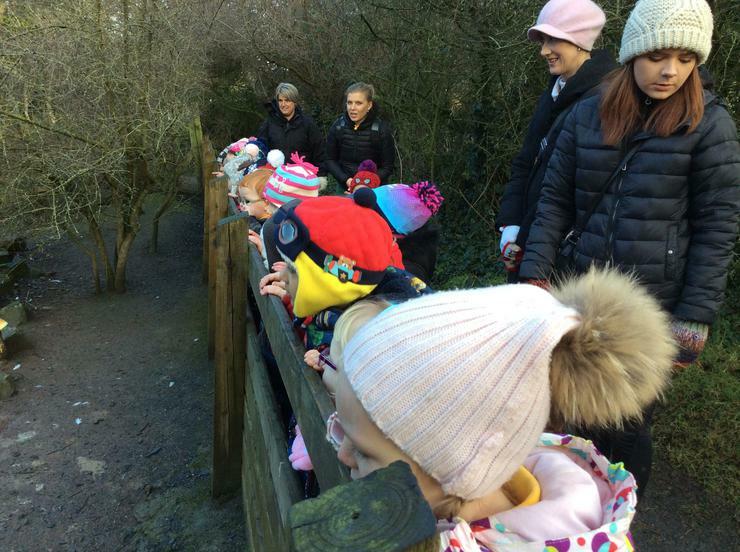 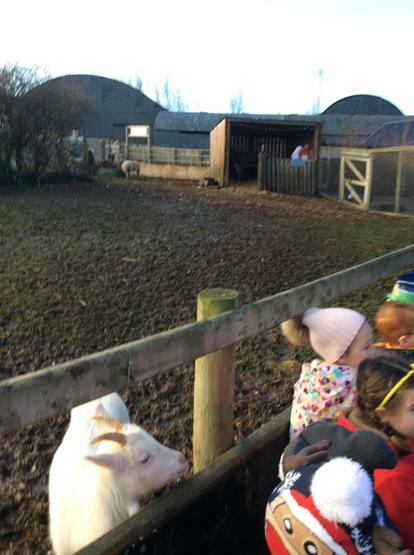 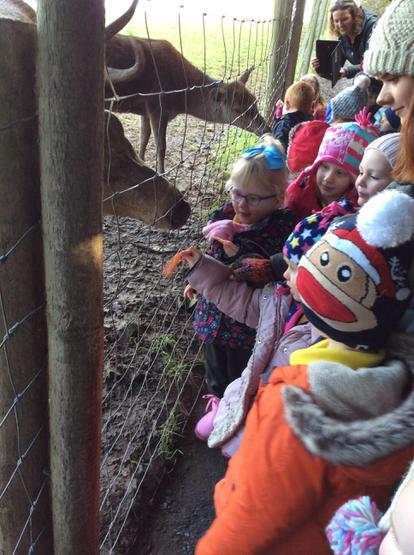 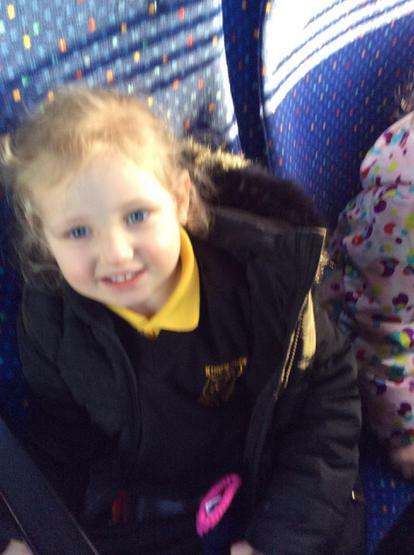 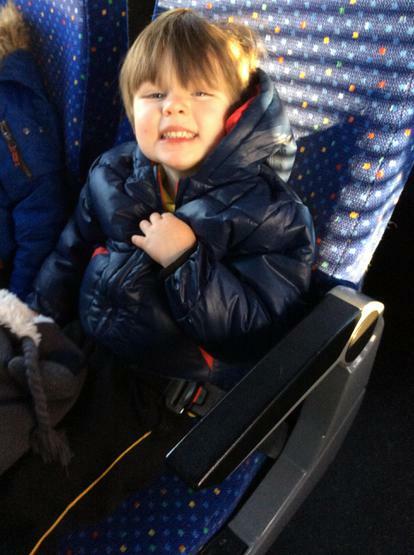 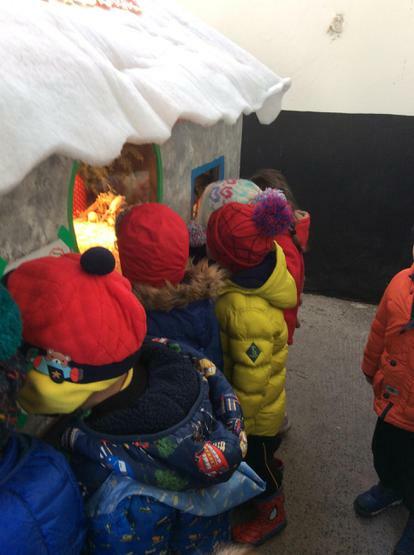 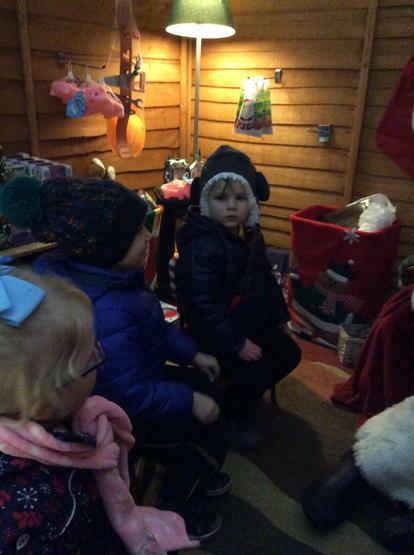 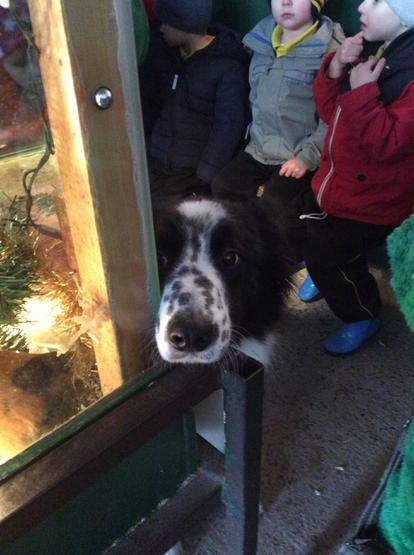 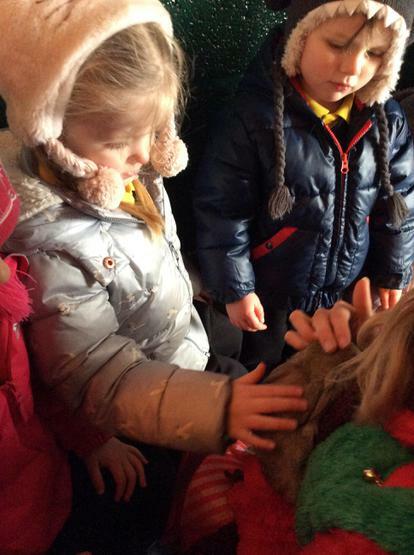 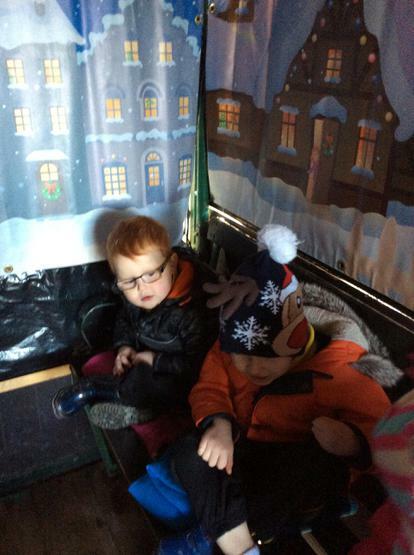 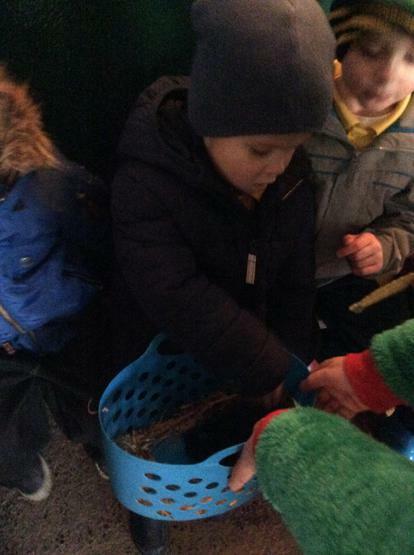 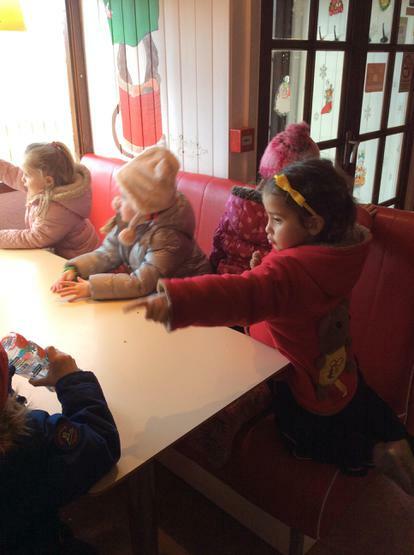 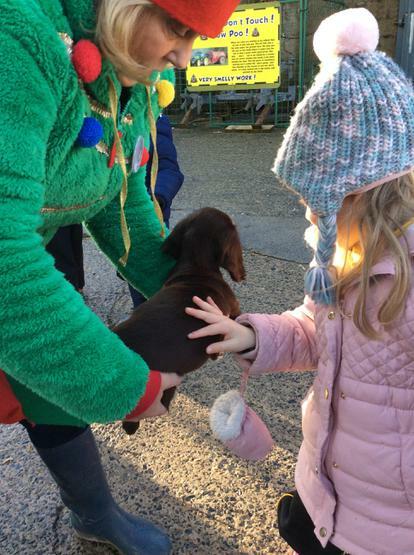 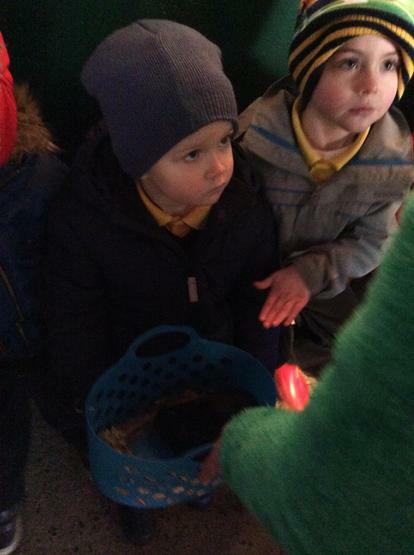 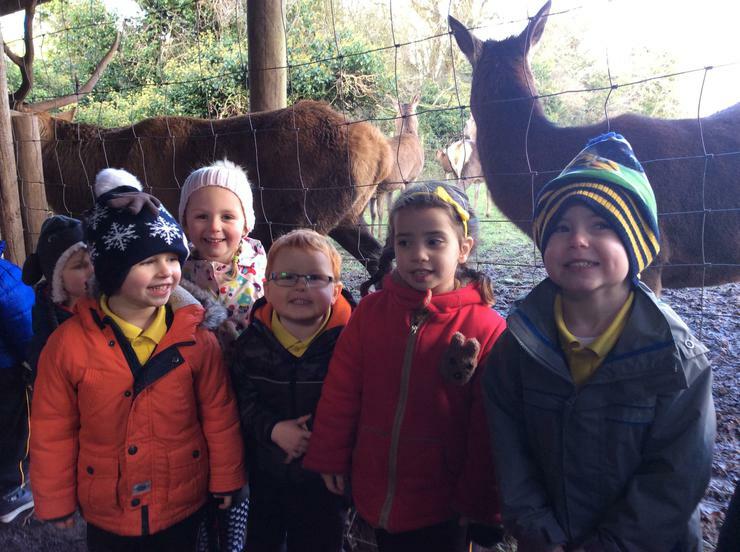 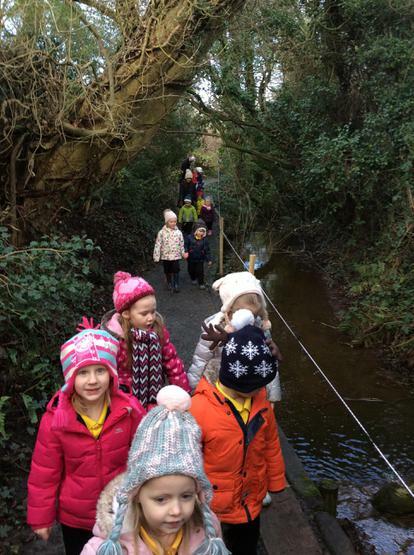 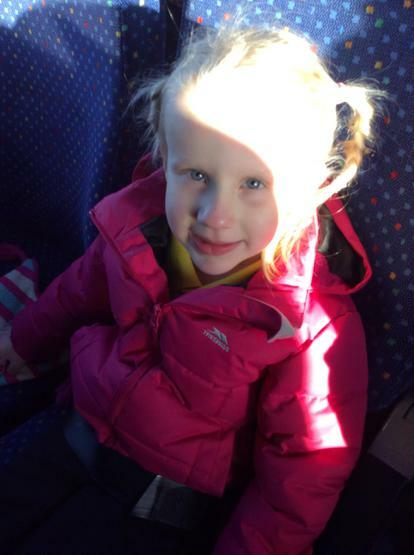 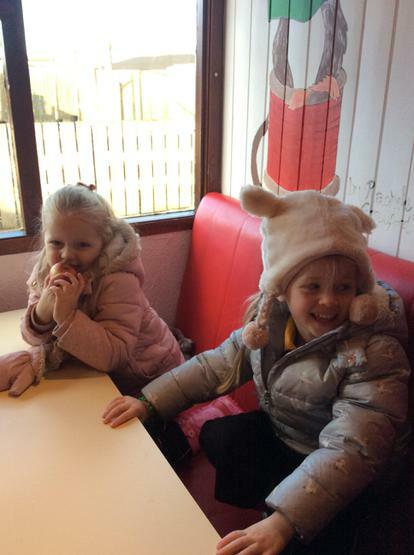 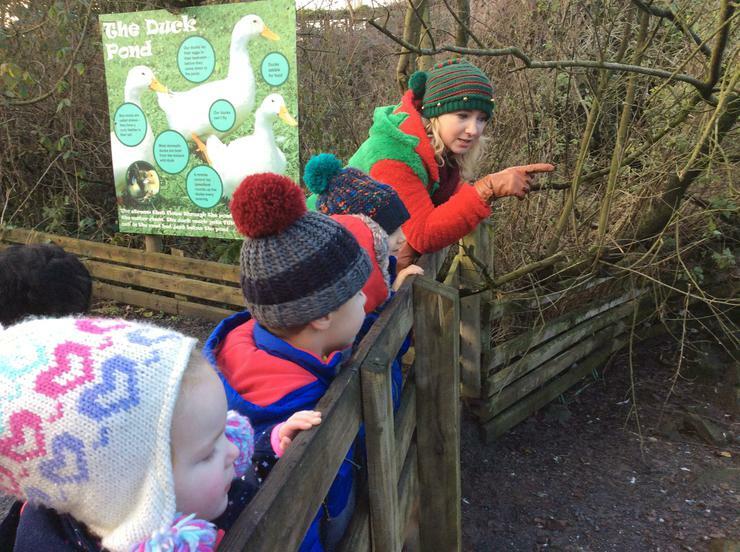 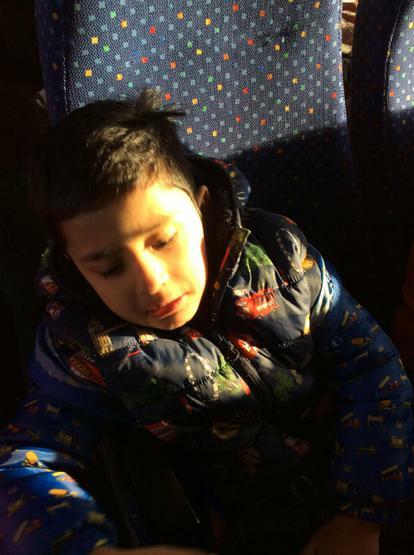 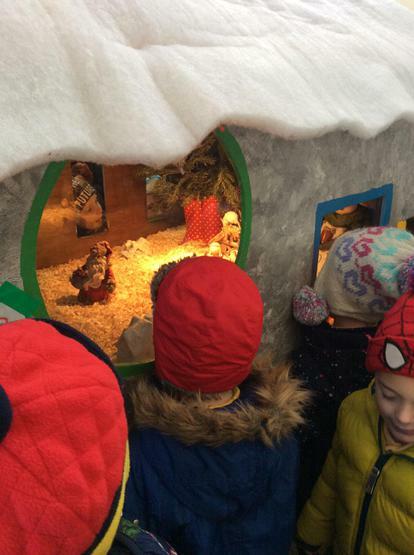 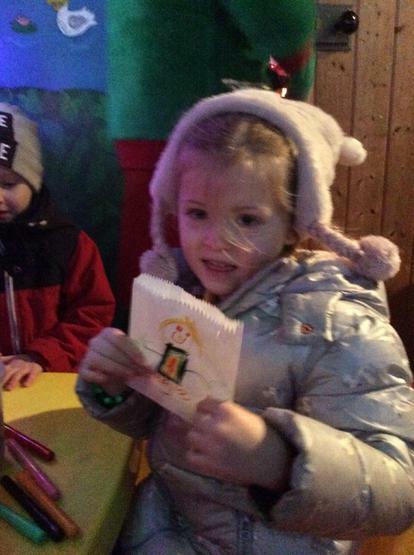 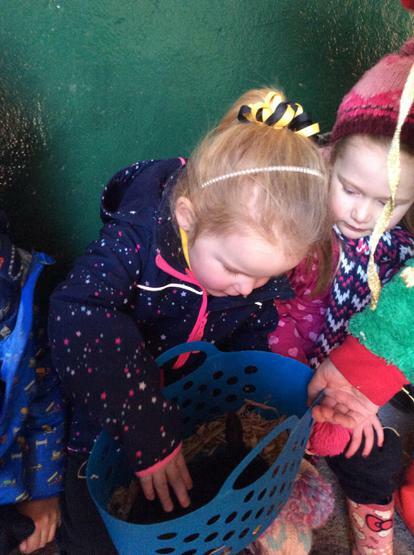 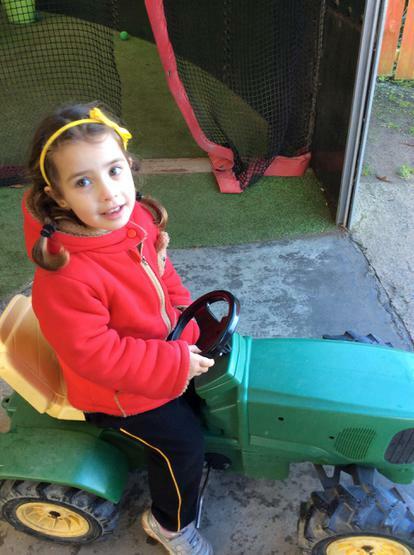 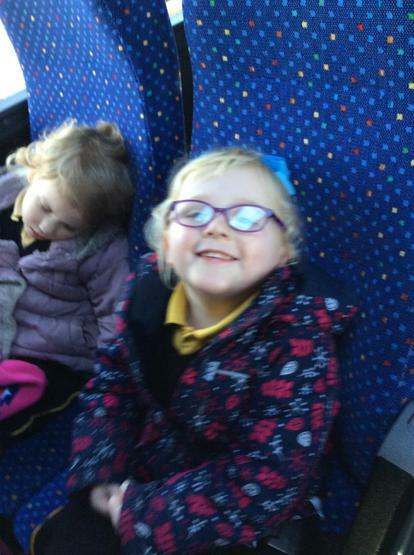 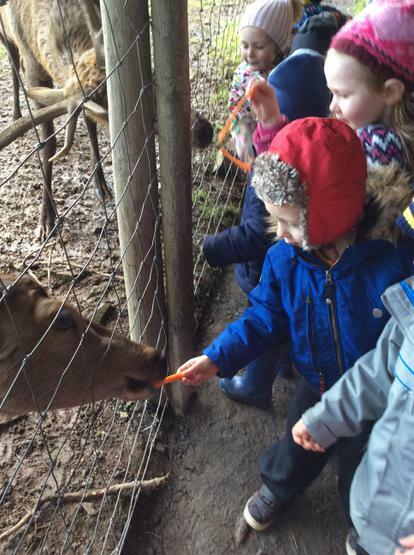 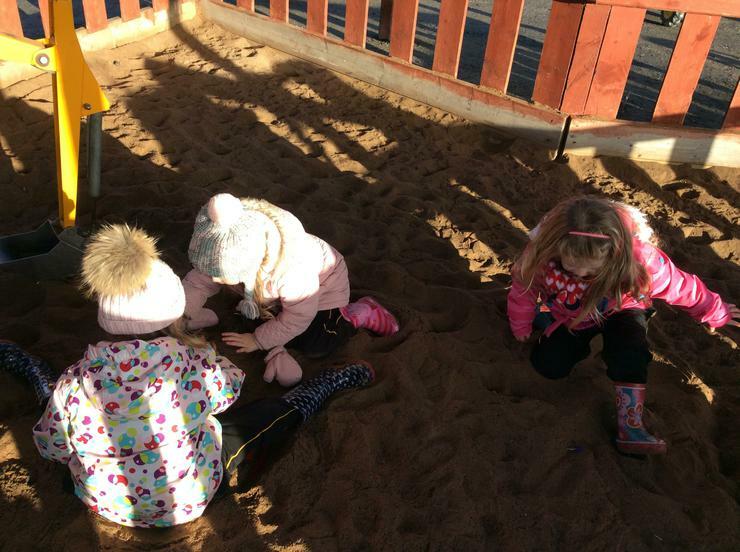 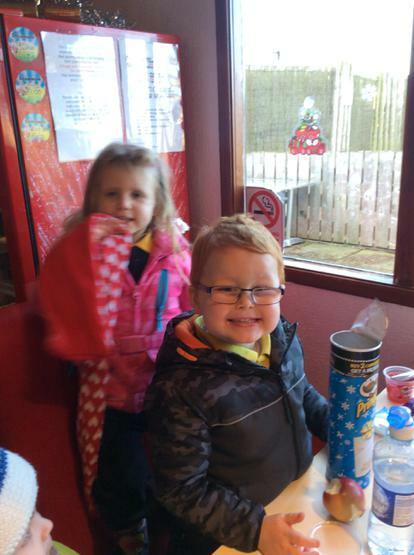 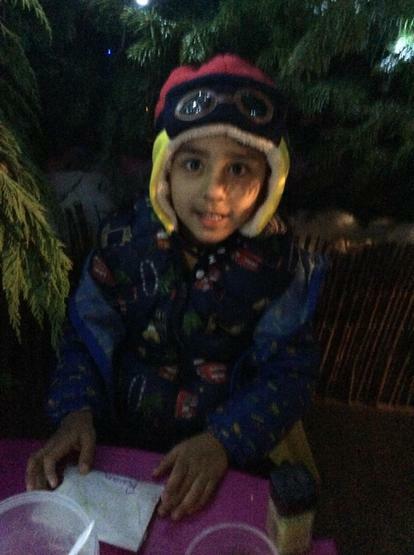 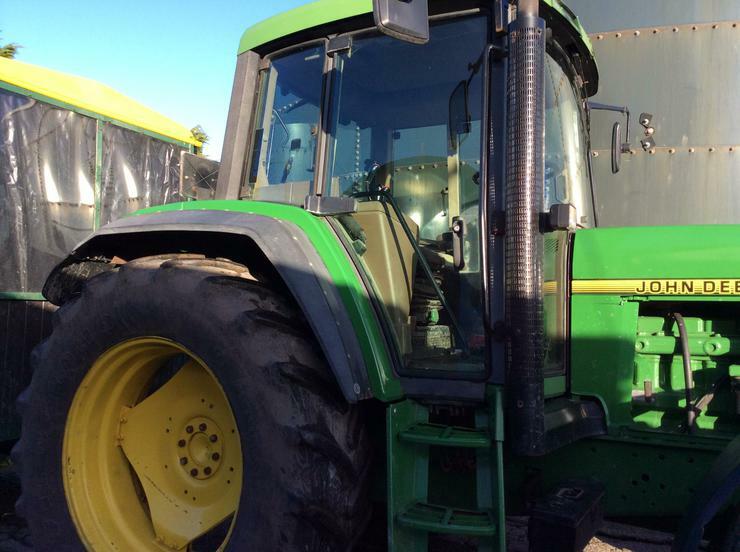 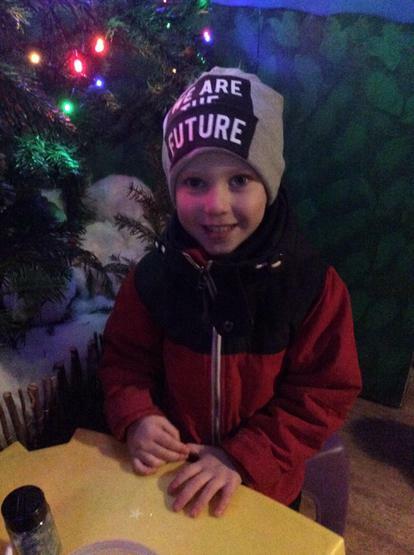 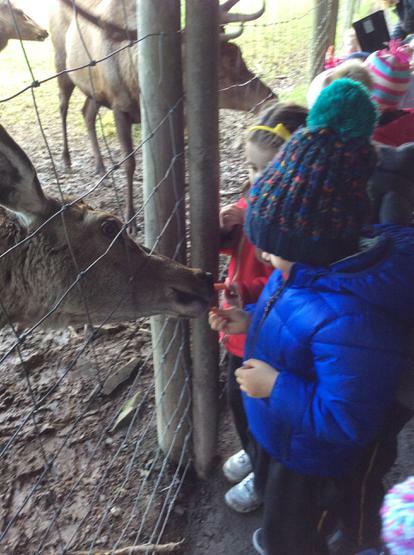 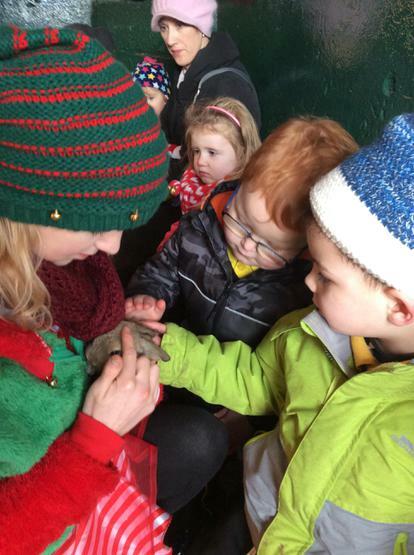 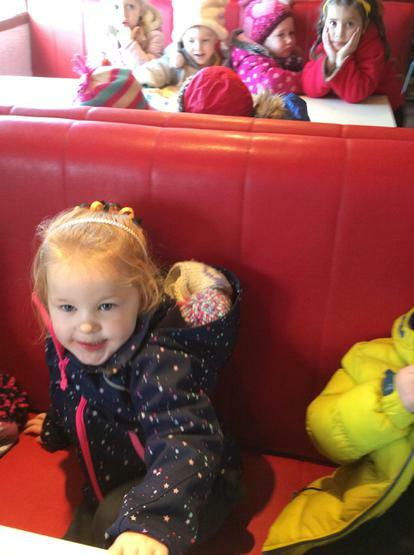 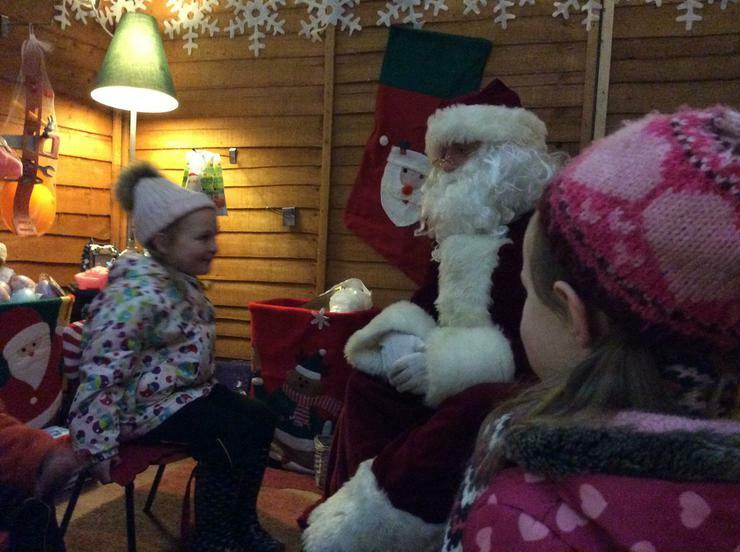 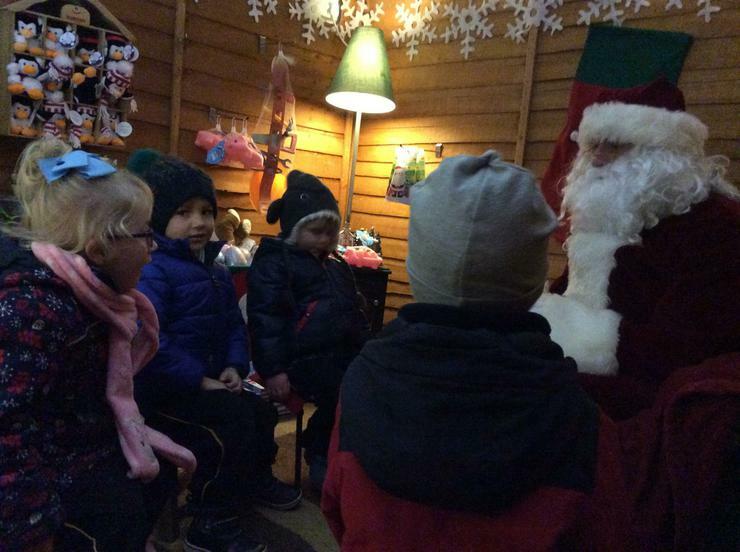 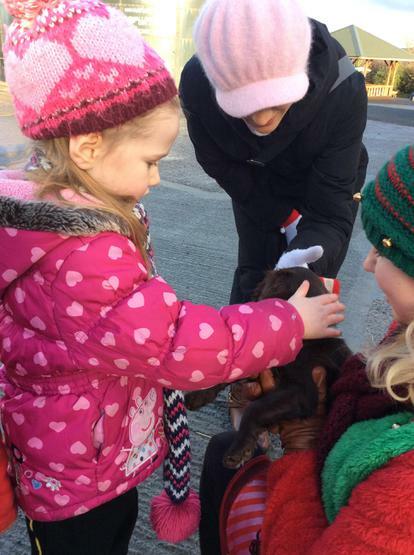 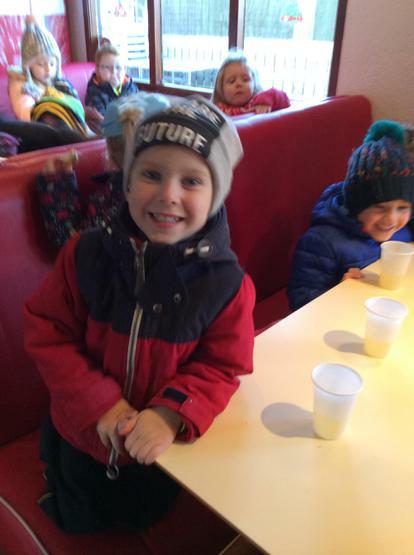 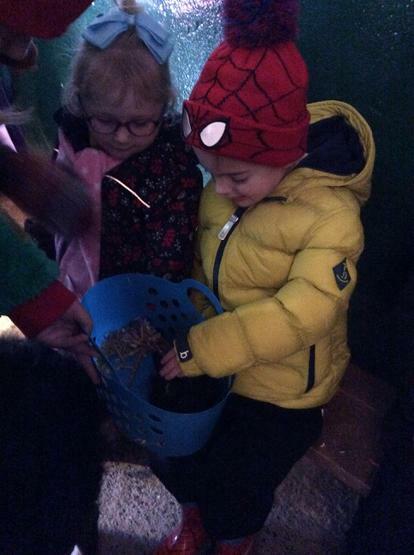 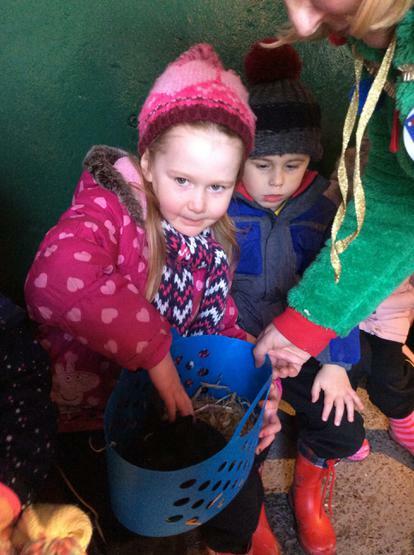 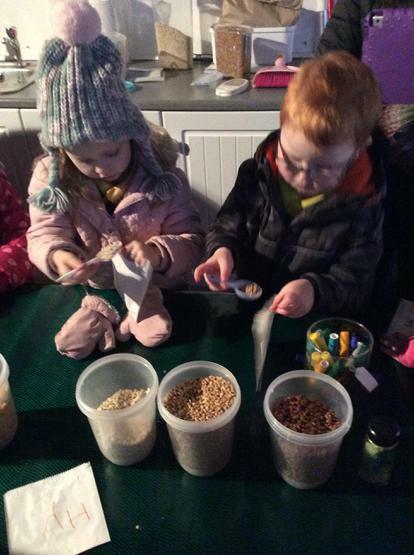 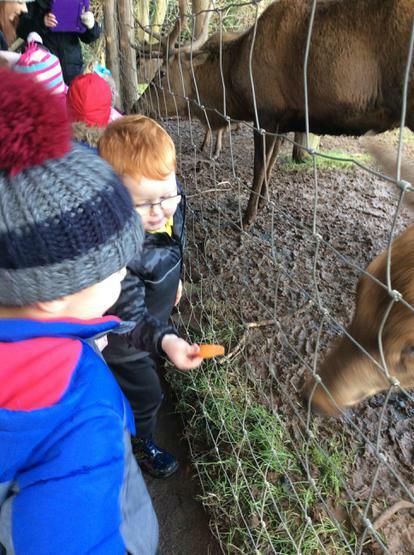 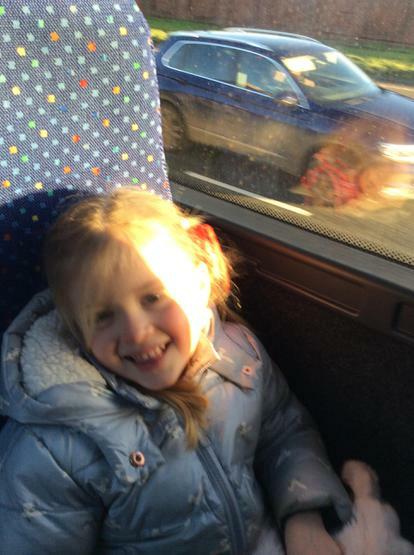 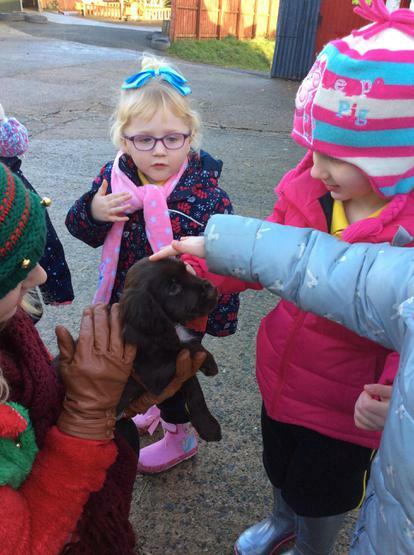 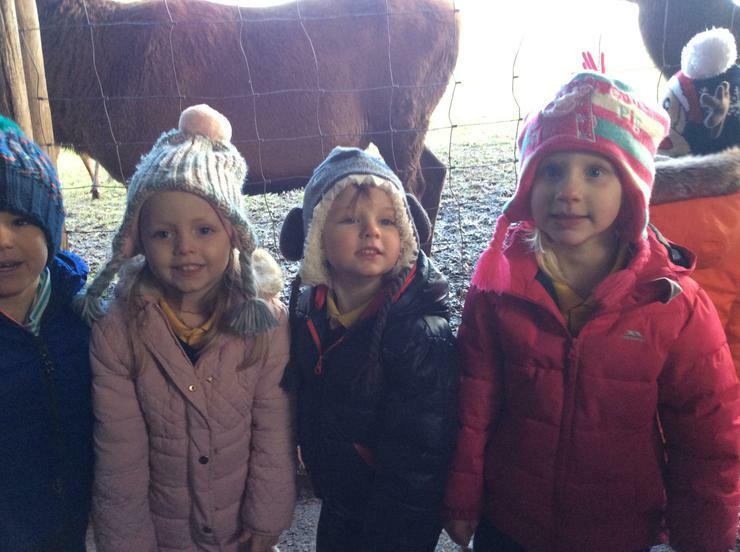 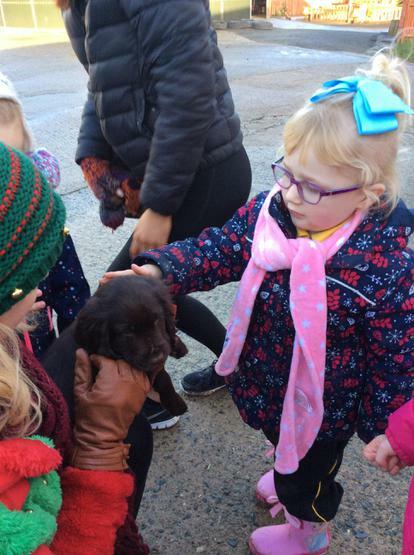 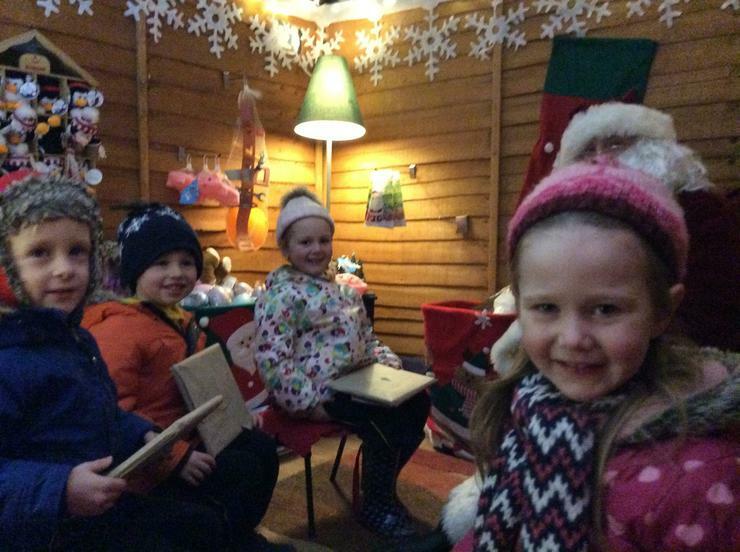 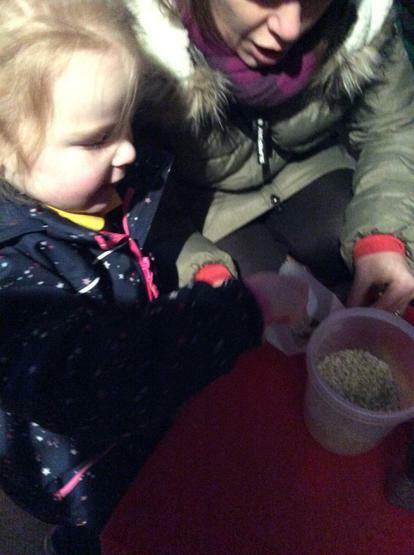 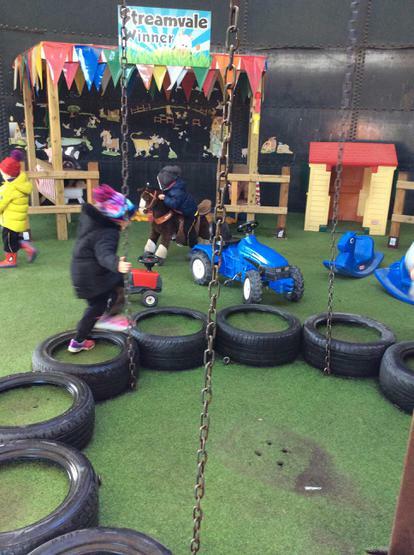 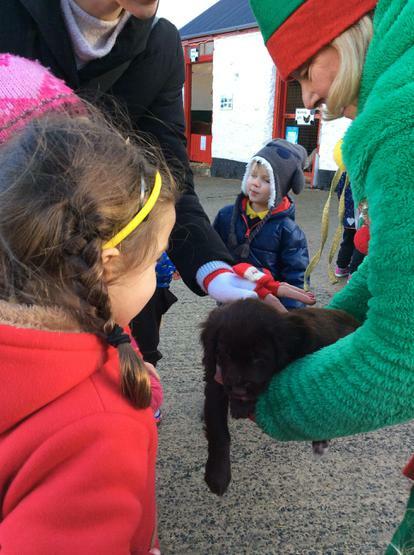 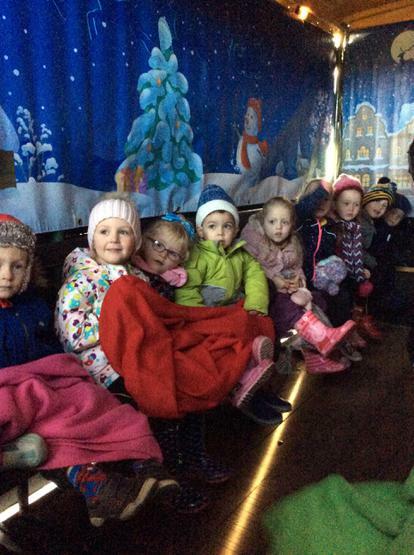 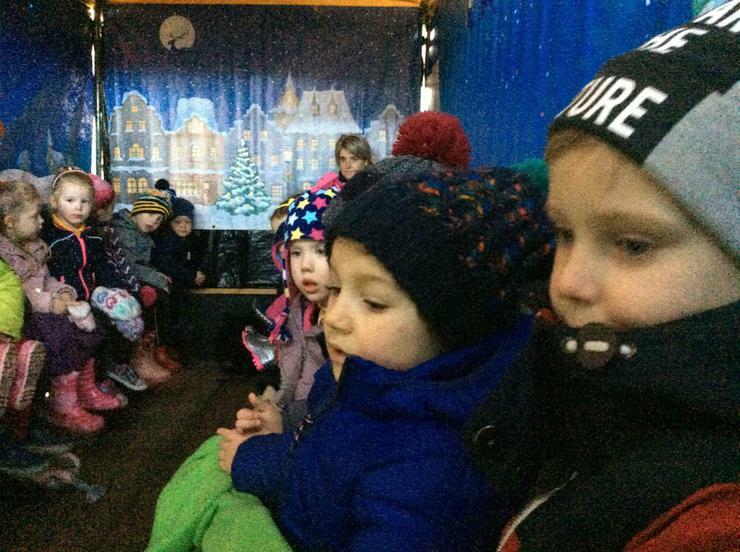 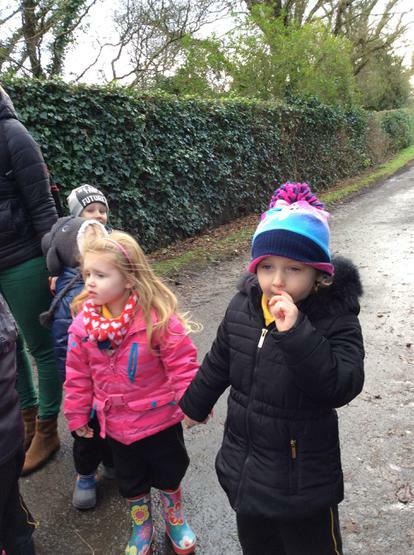 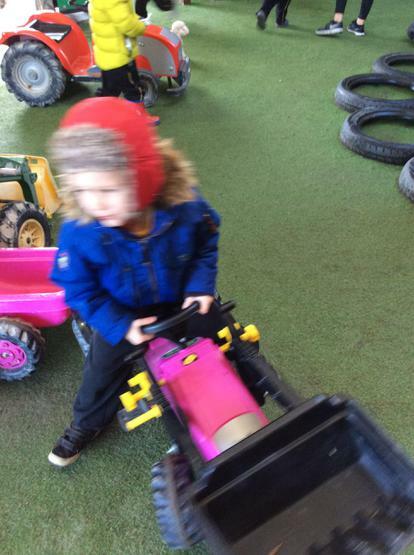 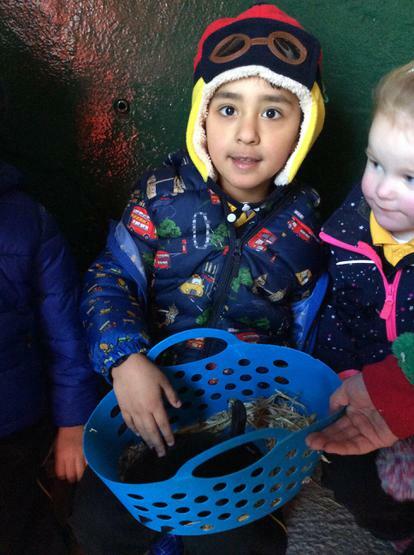 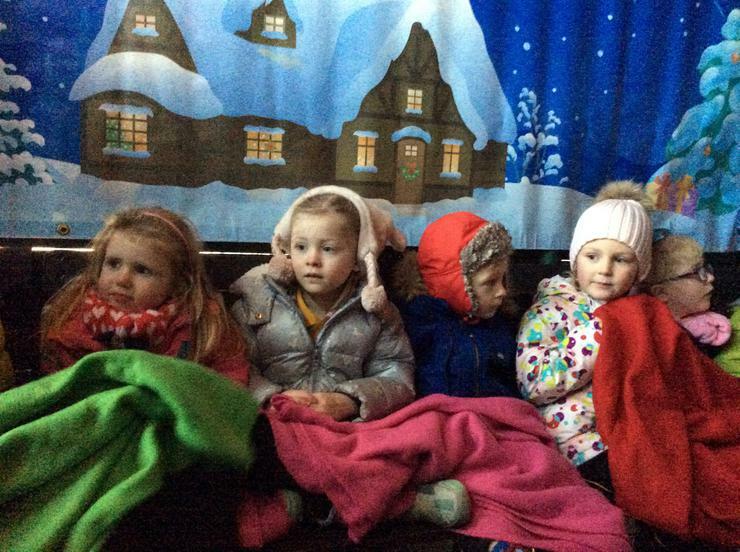 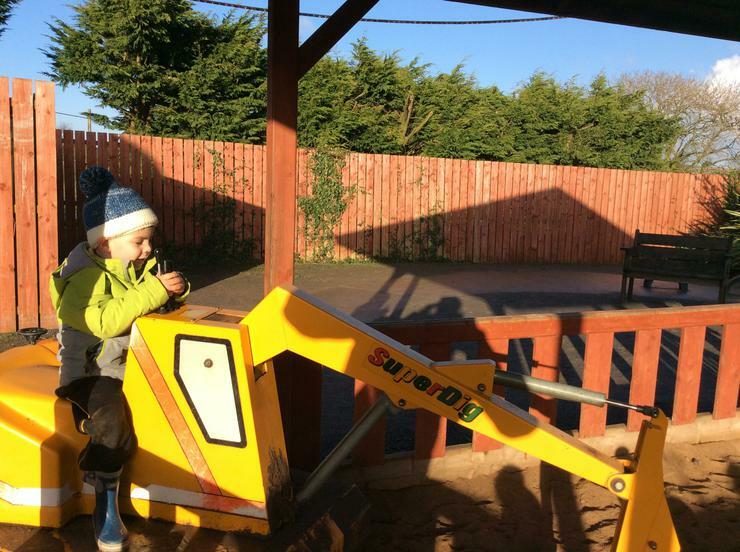 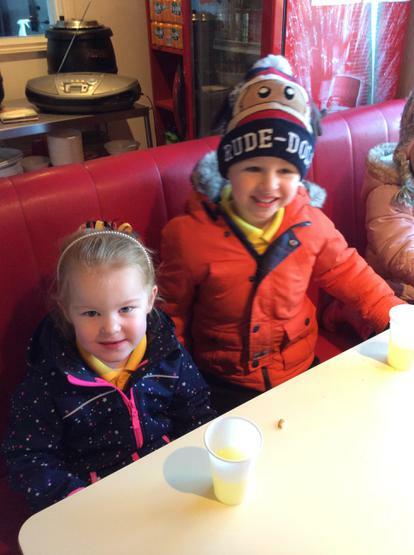 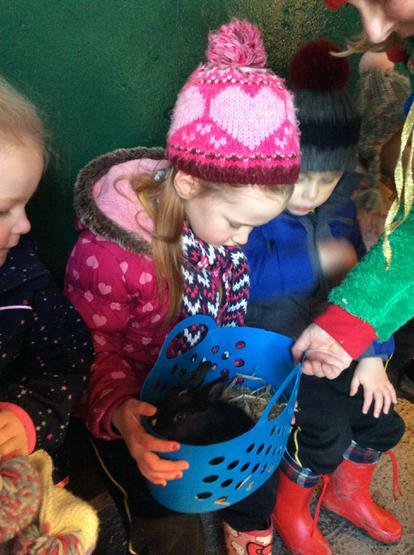 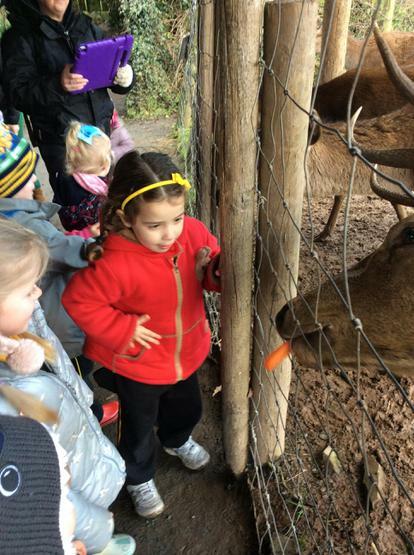 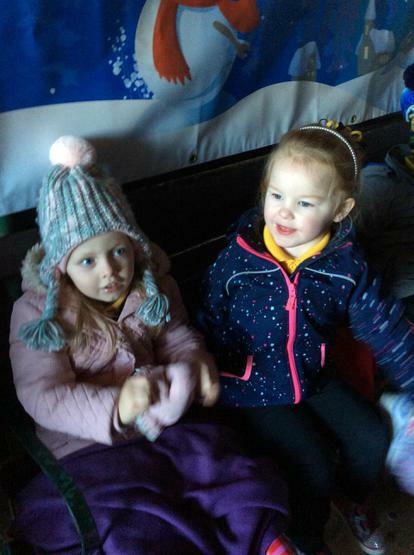 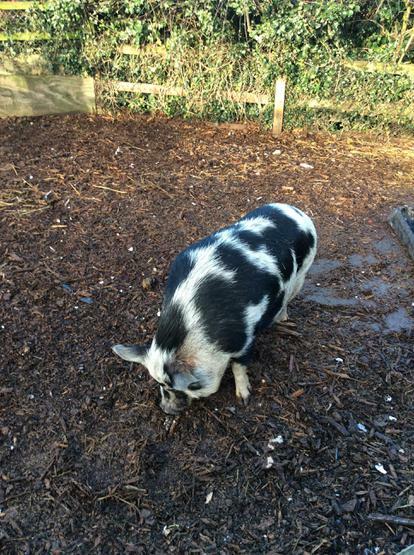 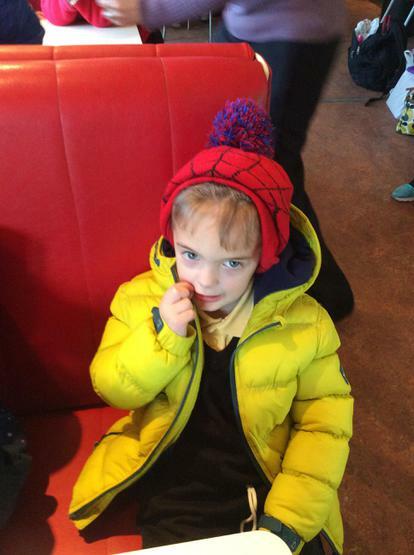 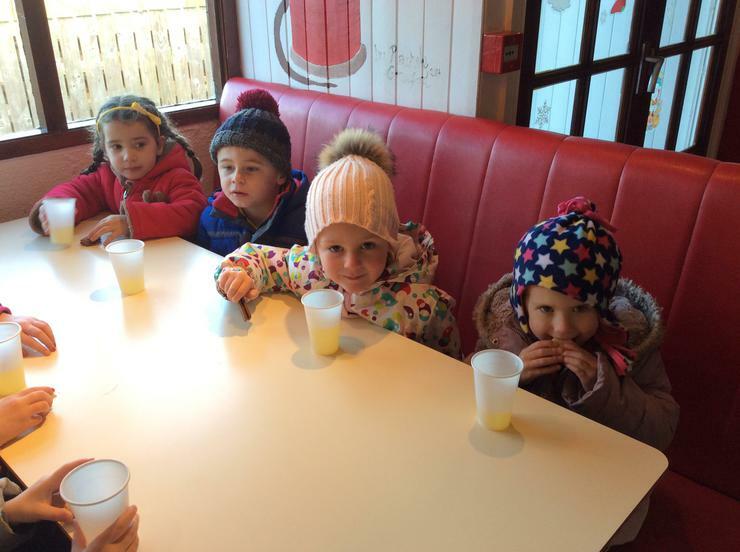 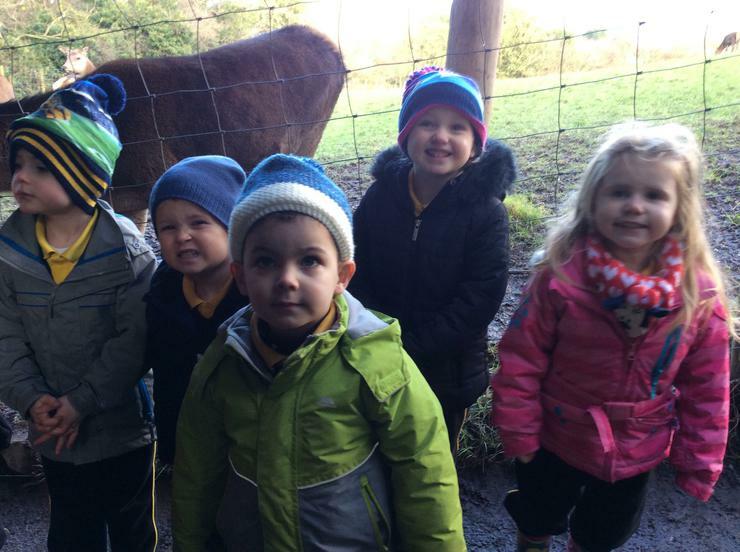 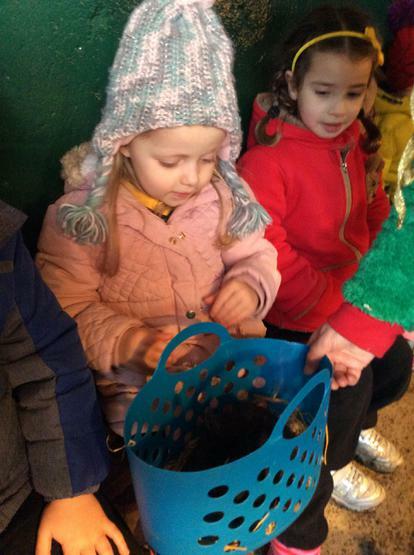 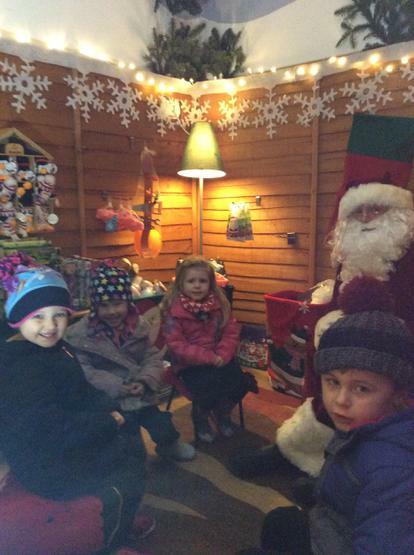 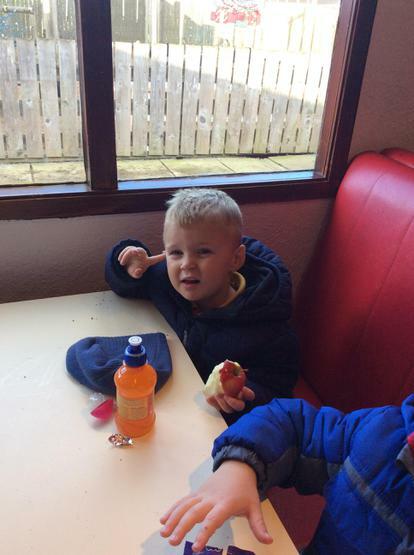 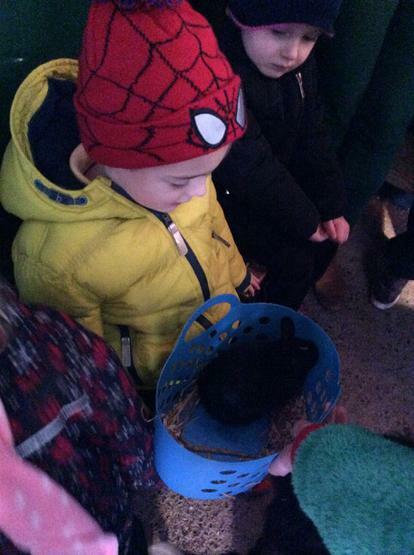 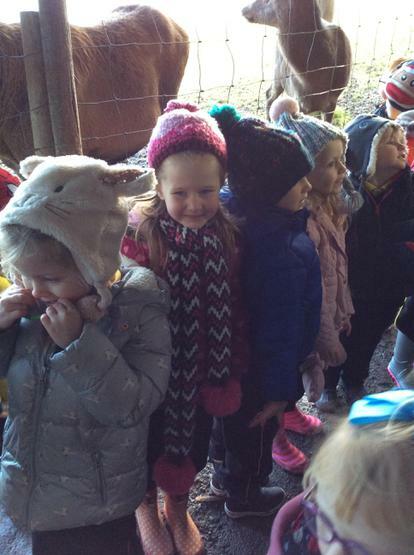 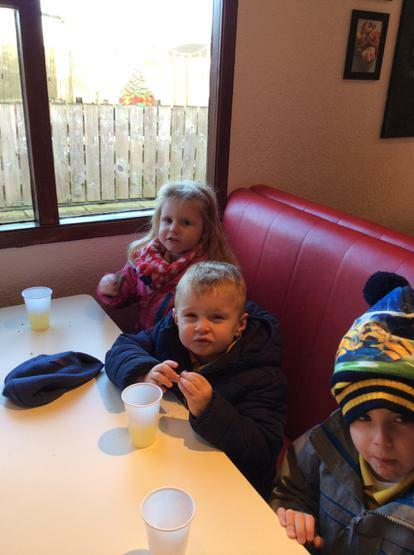 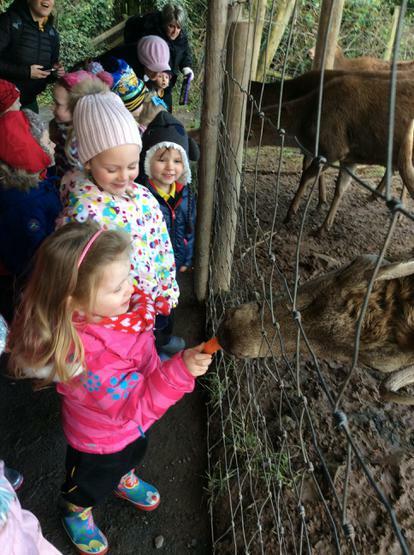 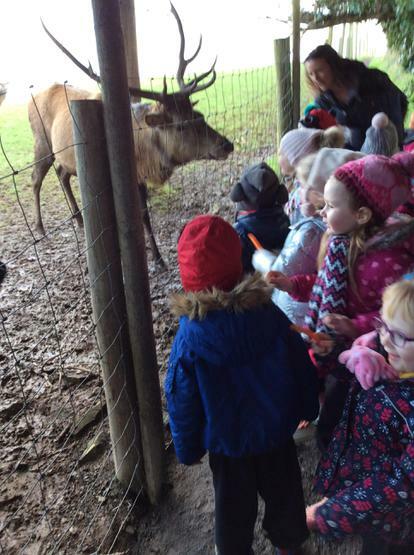 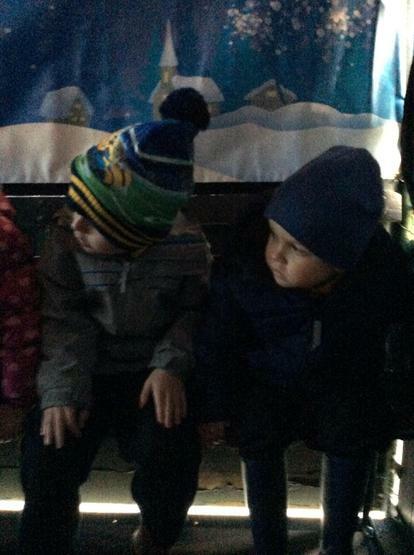 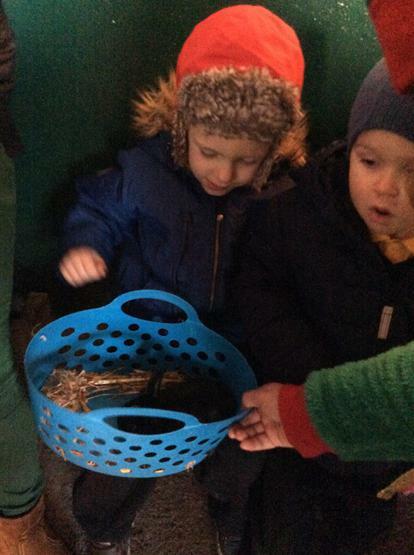 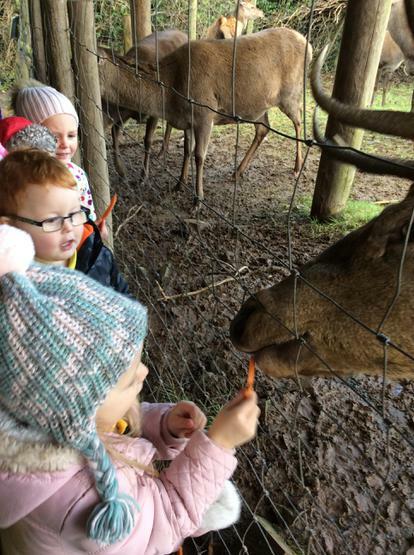 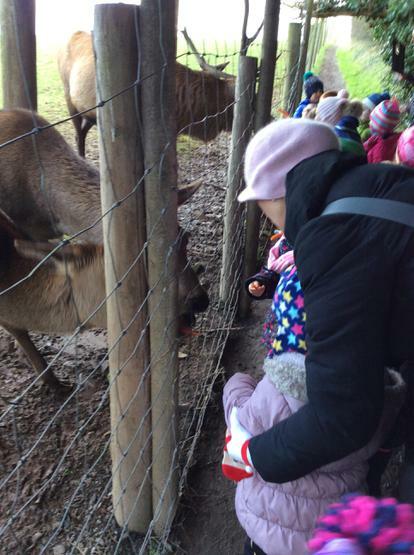 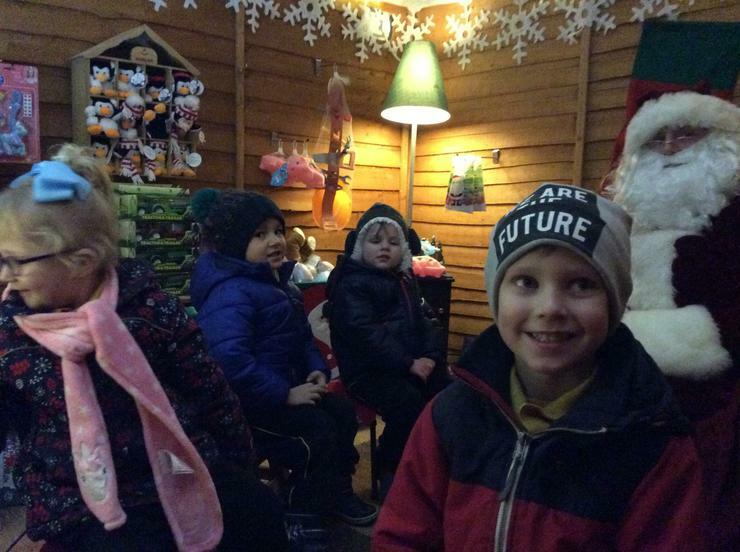 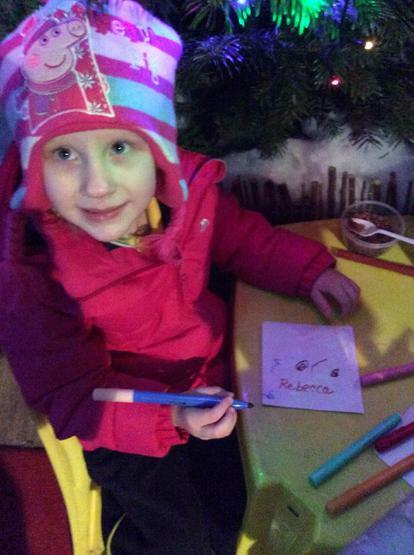 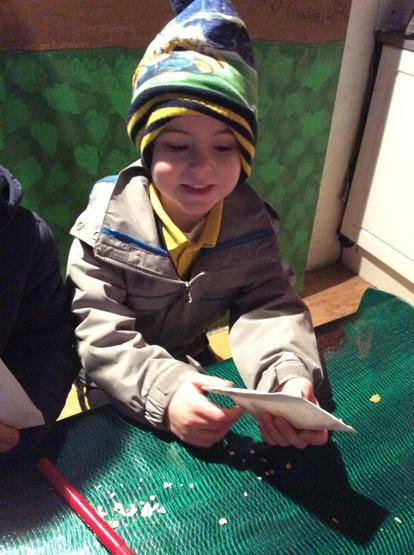 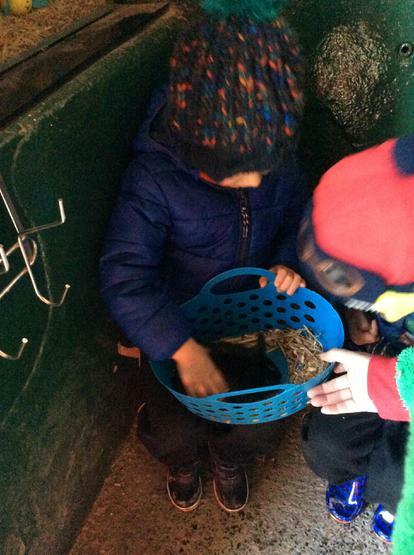 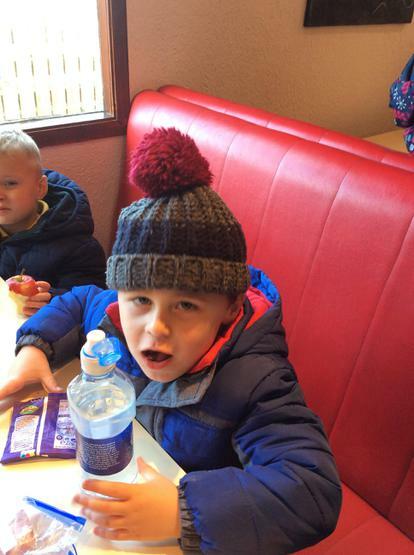 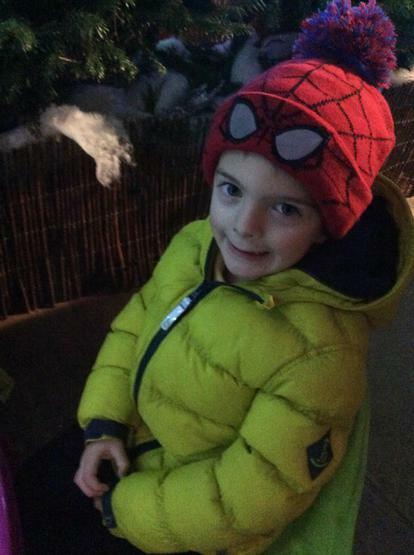 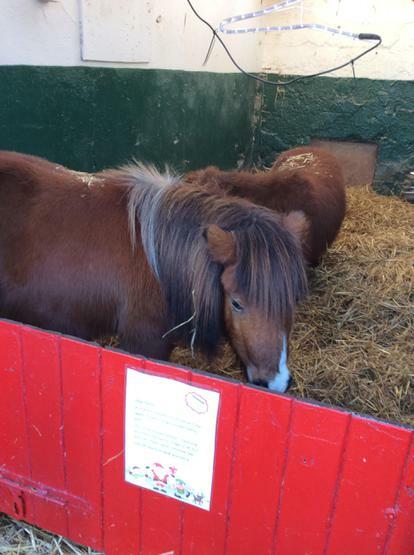 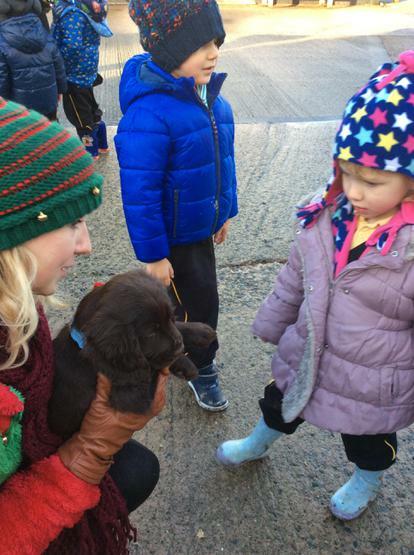 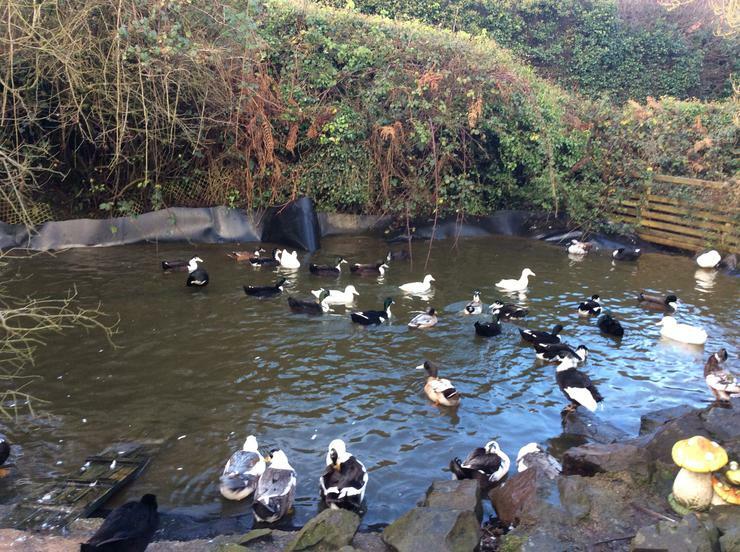 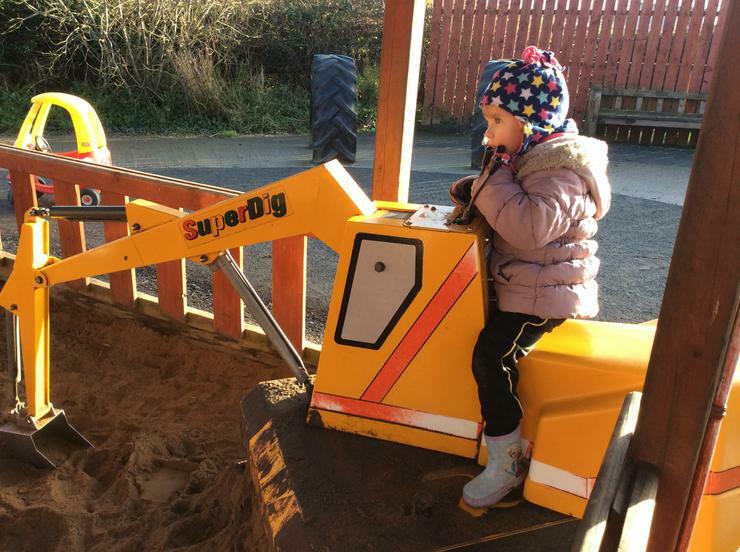 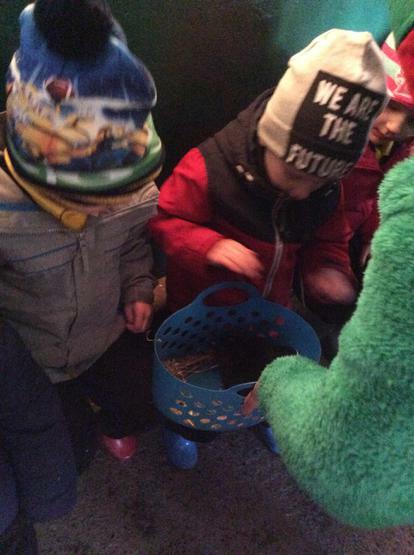 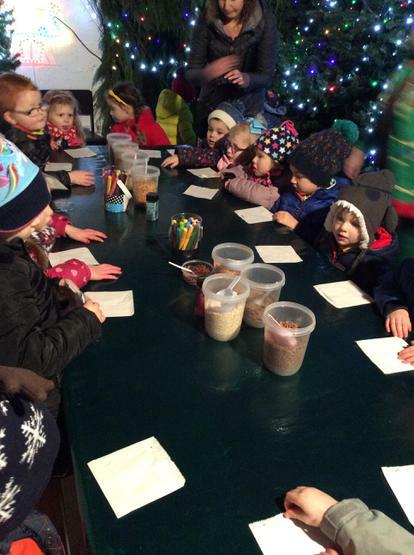 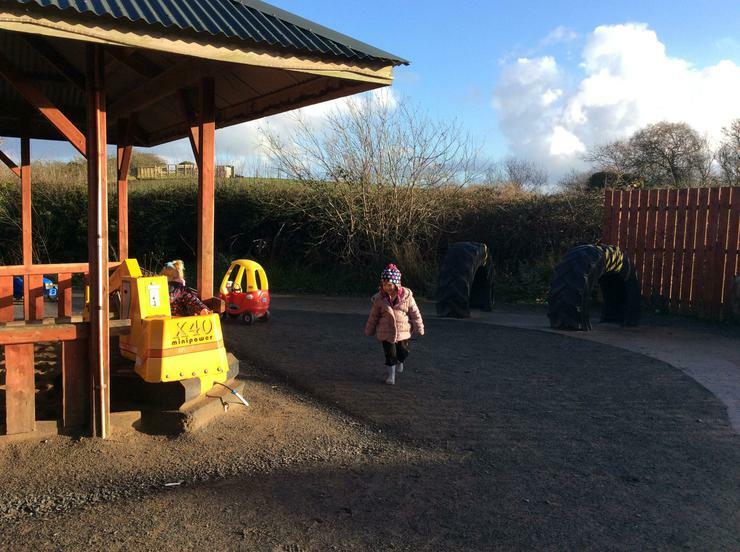 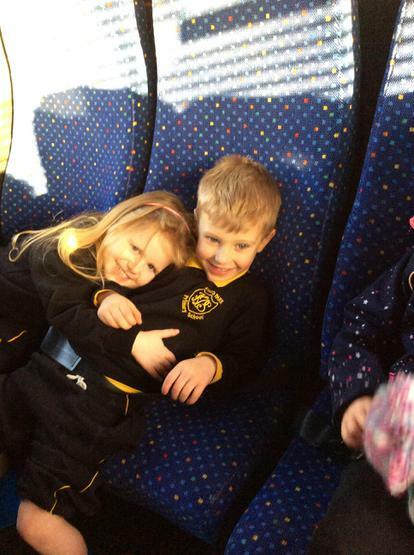 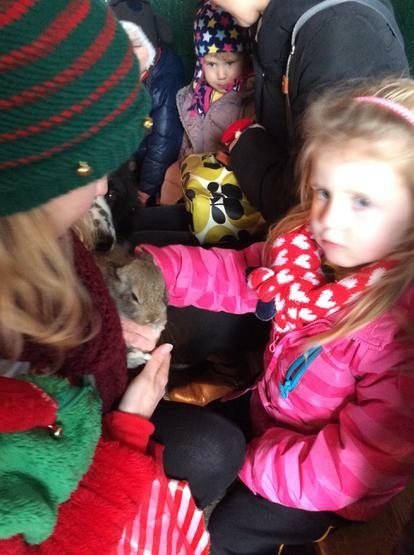 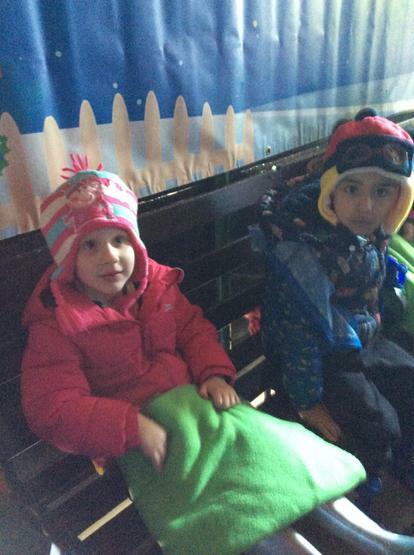 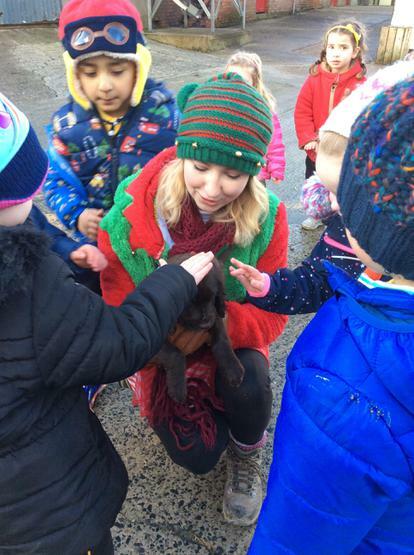 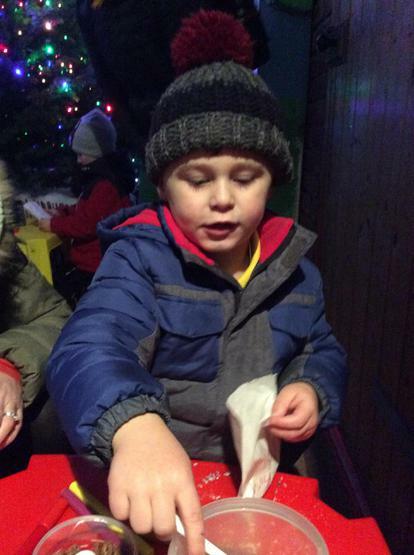 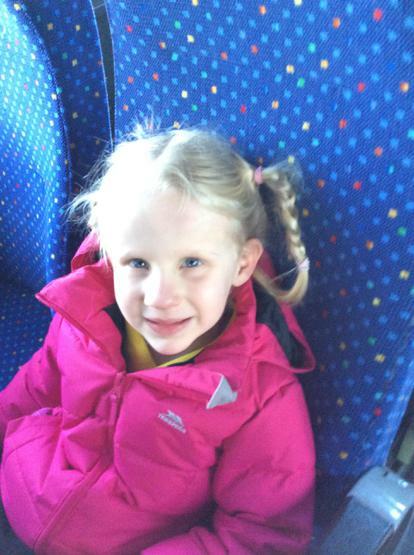 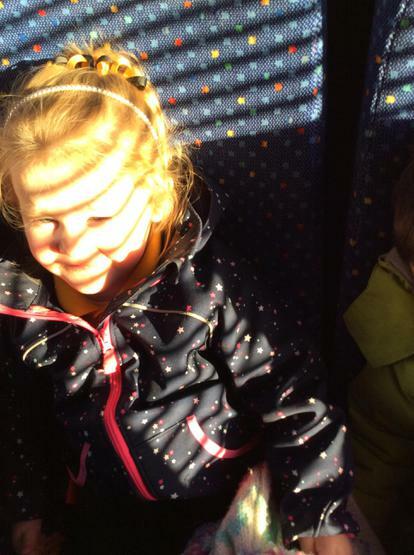 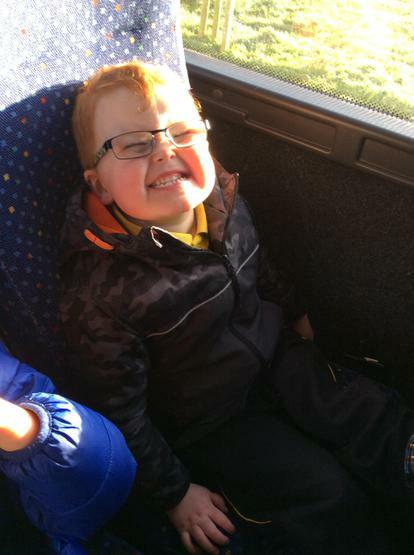 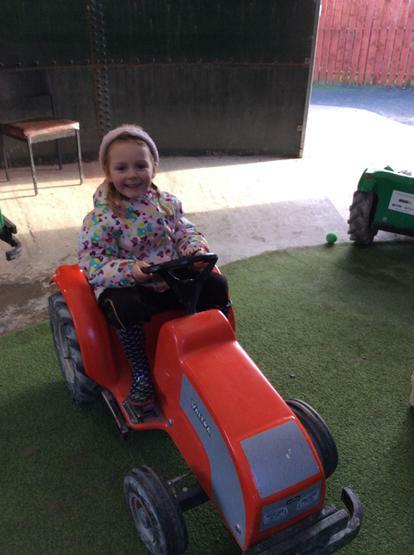 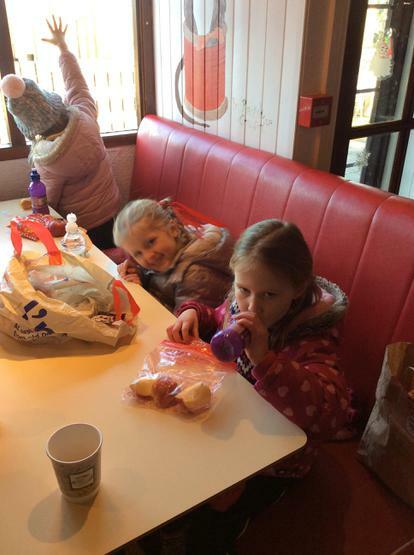 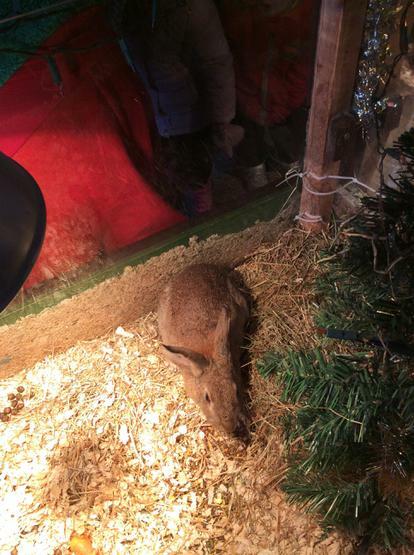 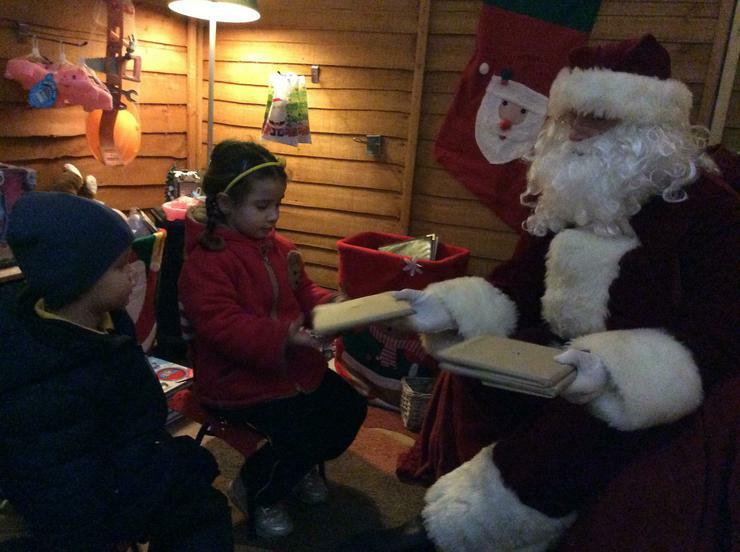 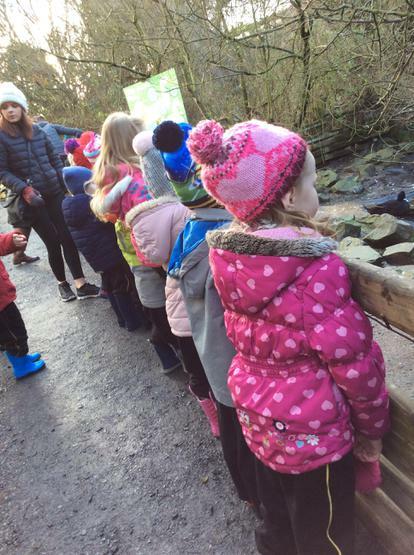 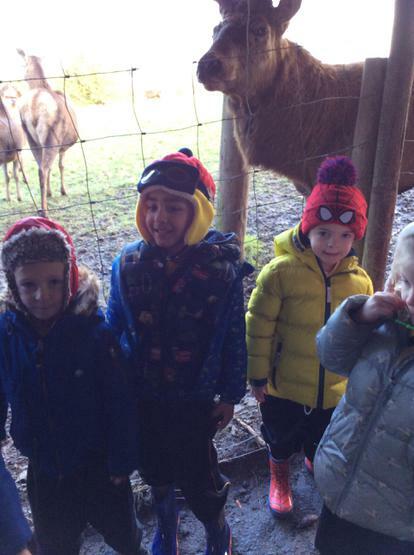 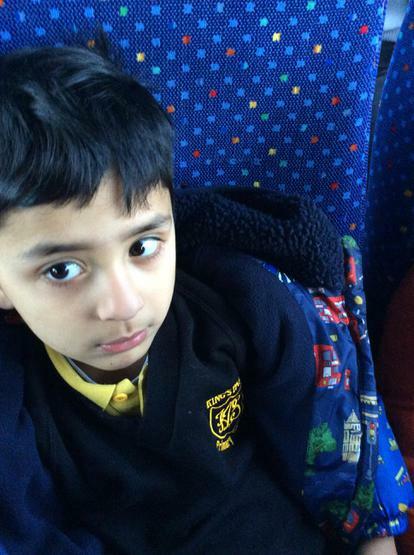 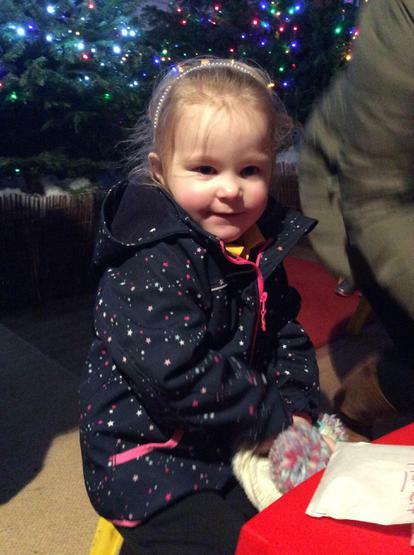 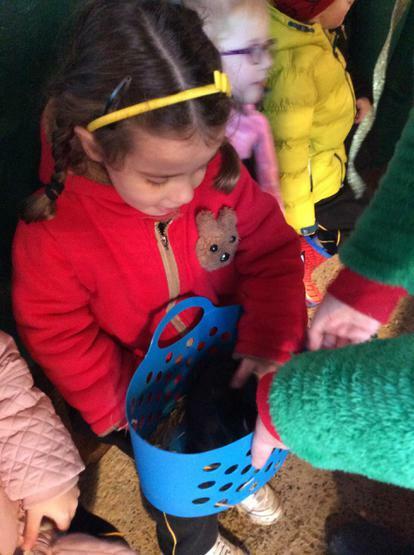 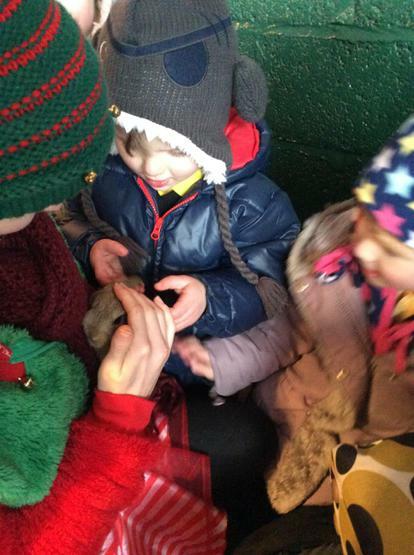 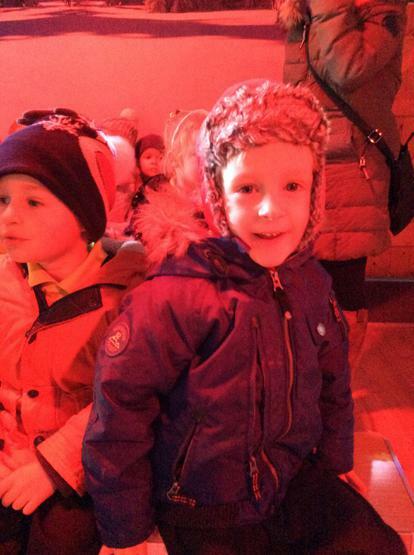 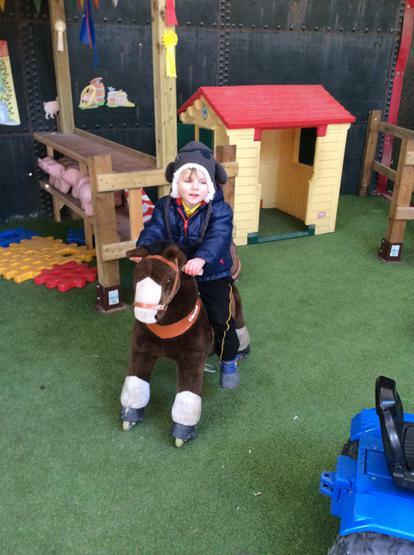 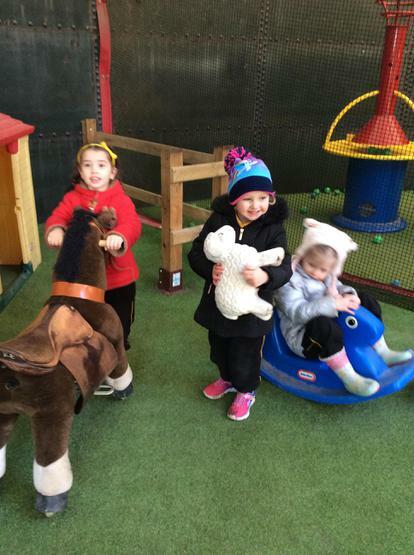 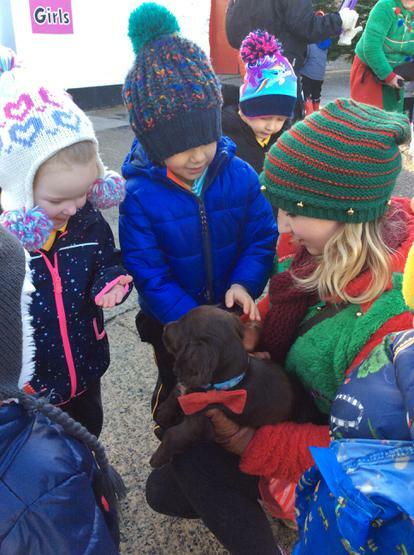 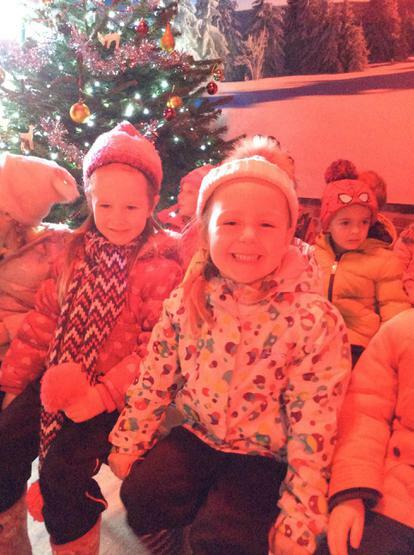 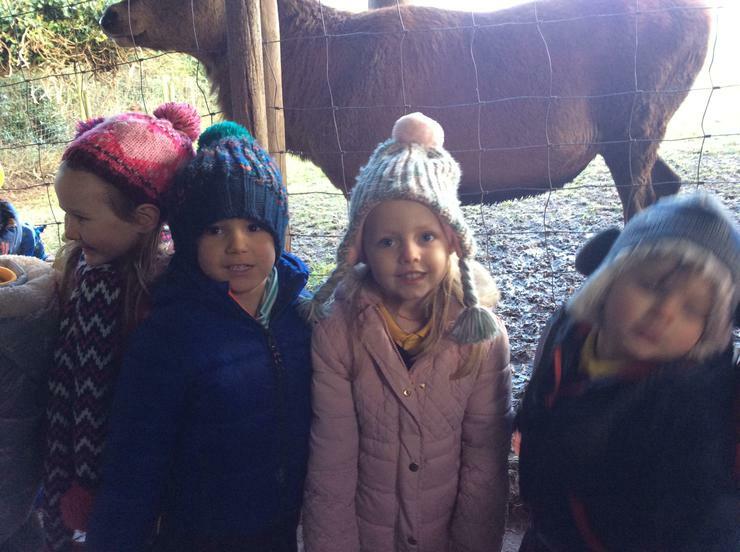 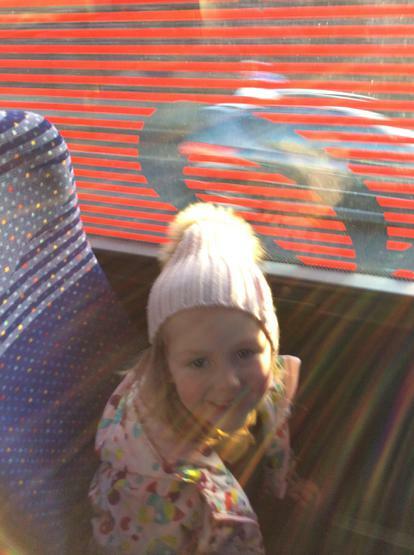 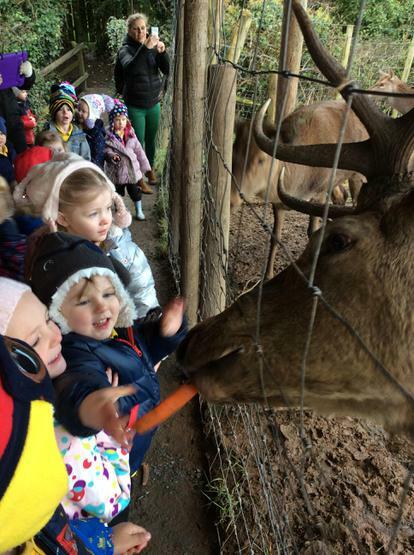 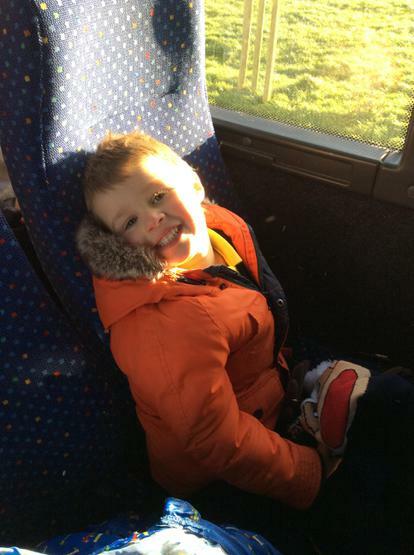 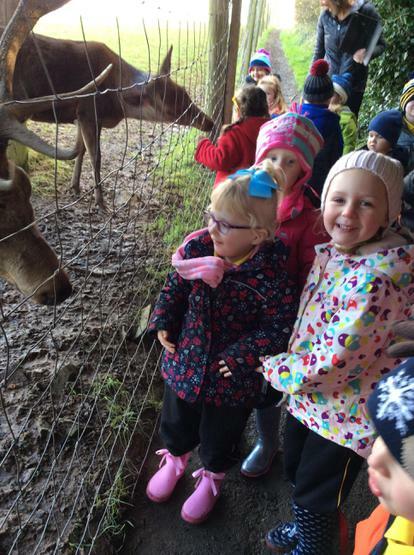 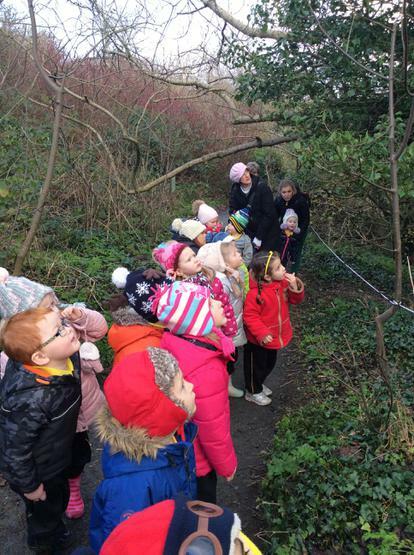 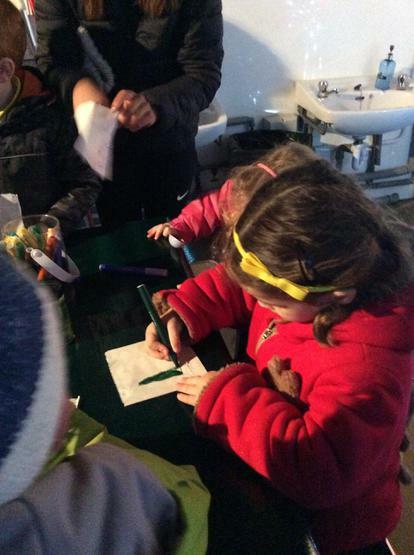 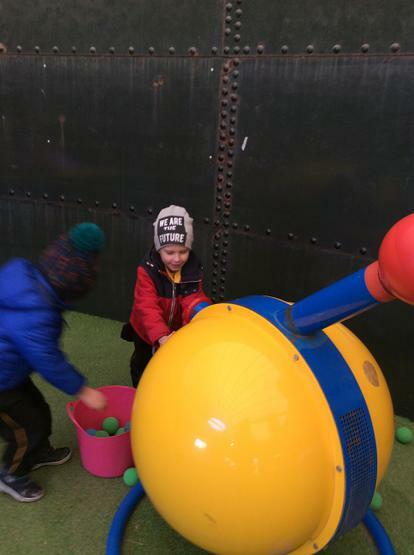 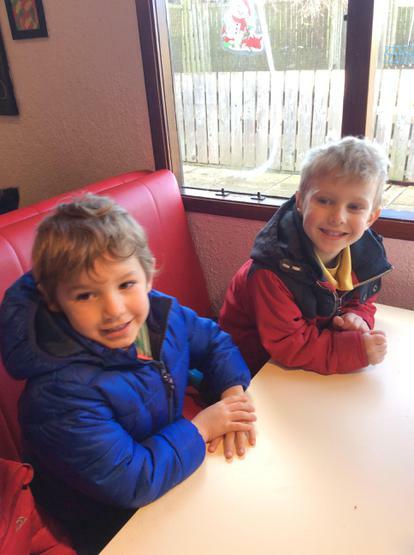 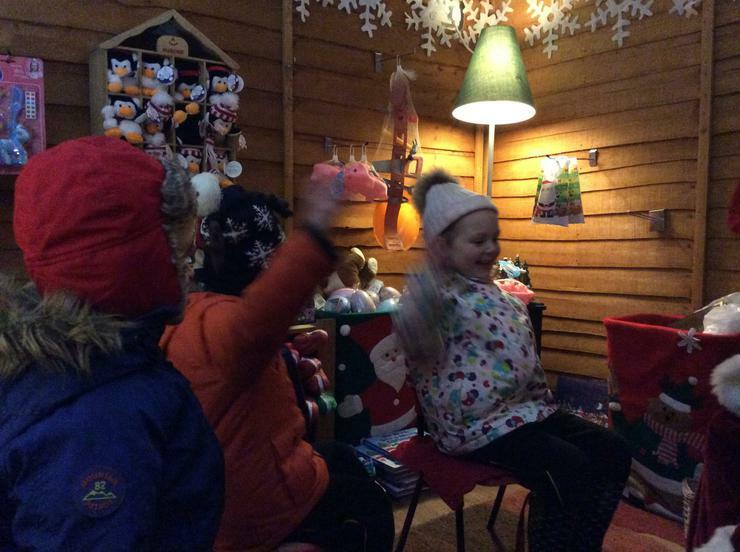 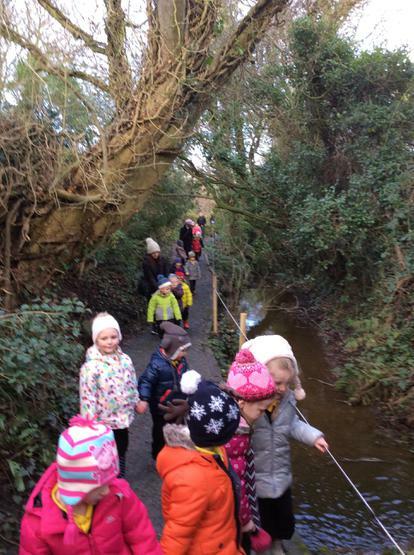 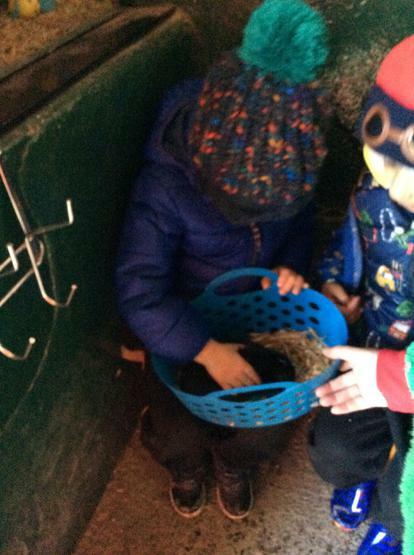 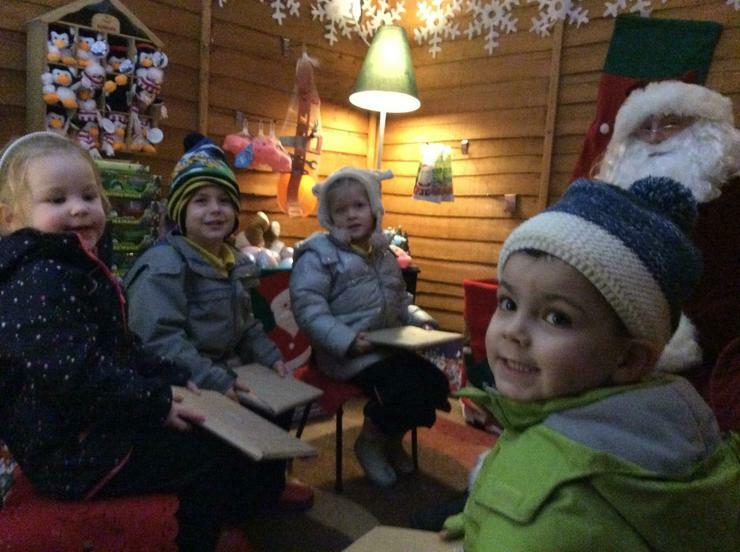 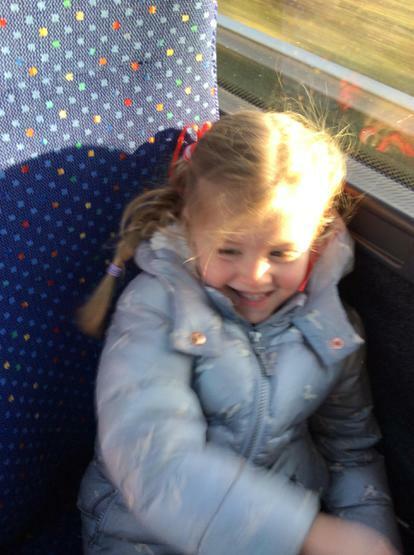 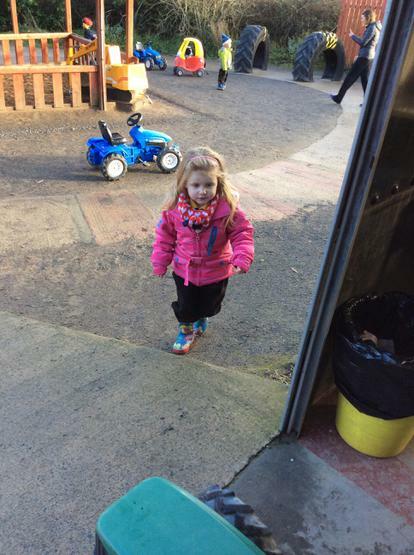 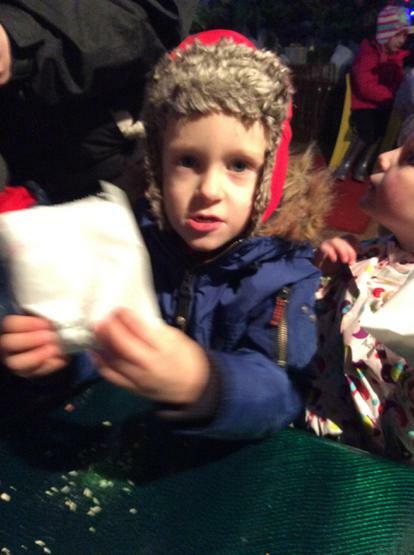 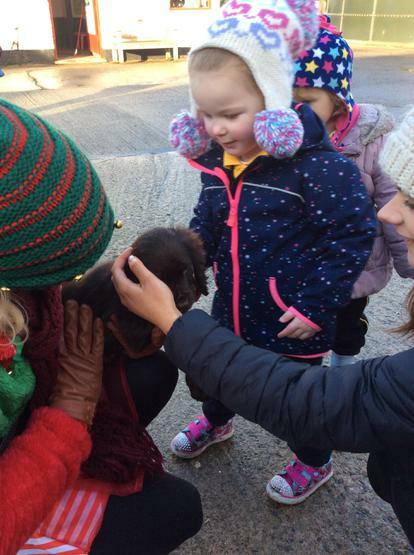 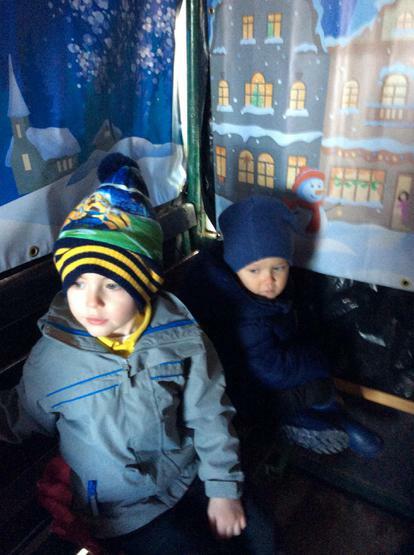 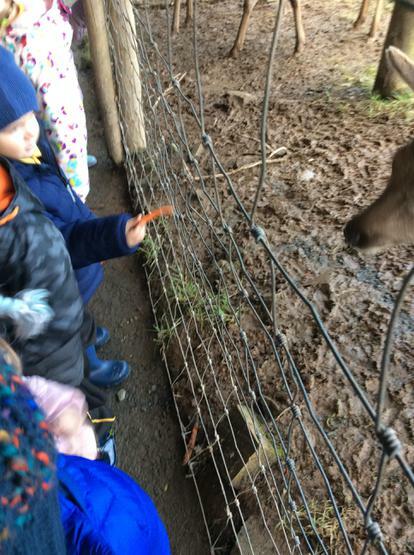 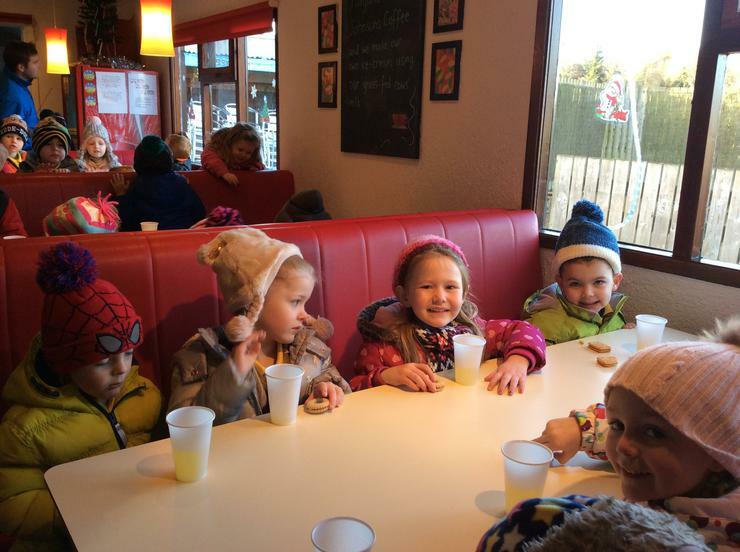 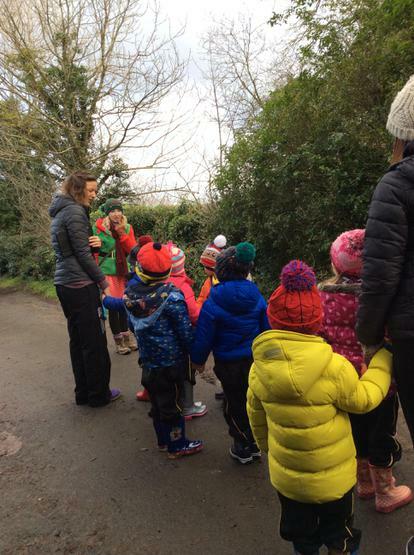 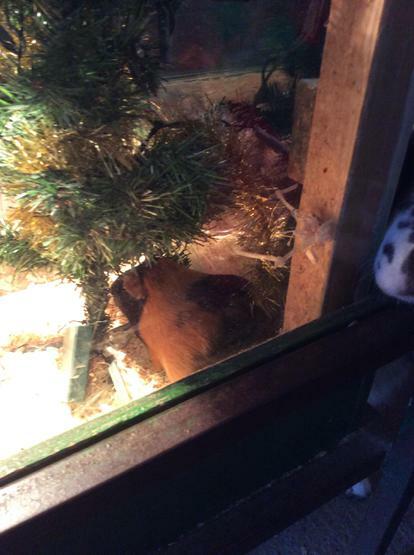 On Friday 15th December we all excitedly left Nursery to visit Streamvale Farm! 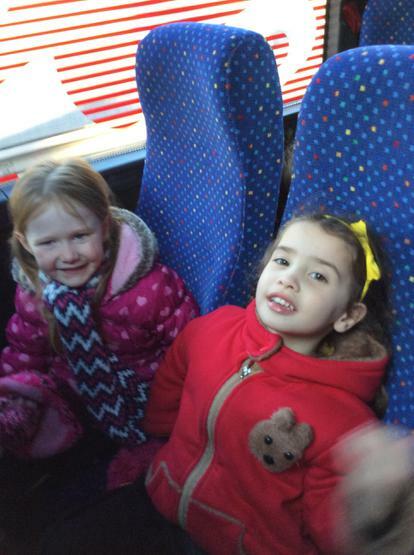 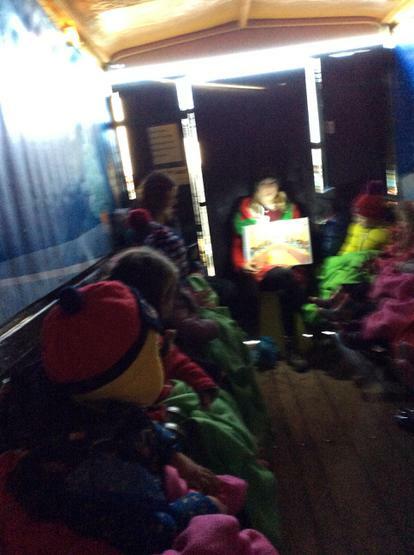 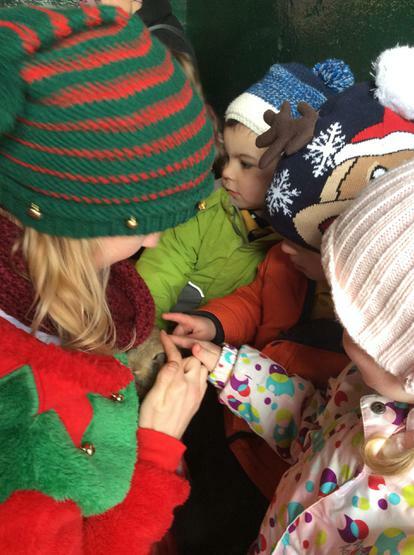 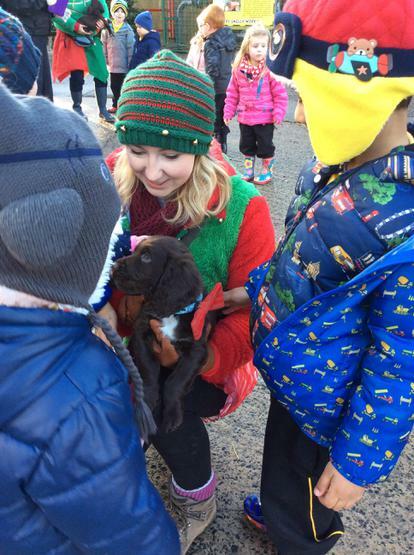 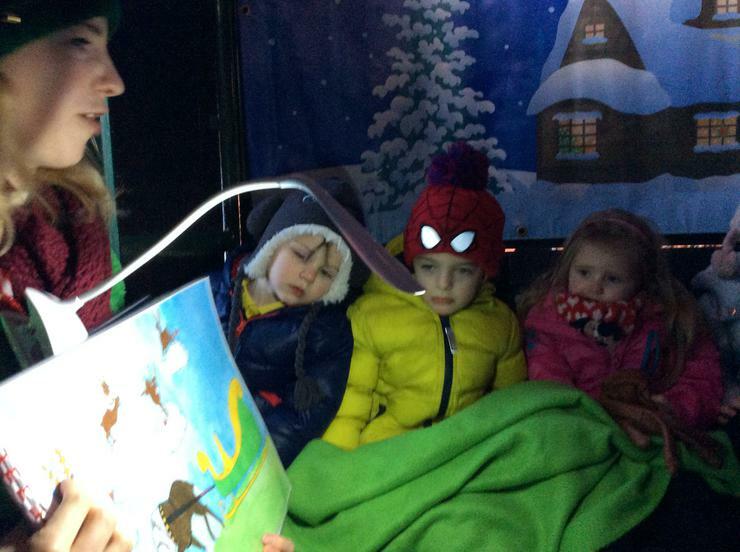 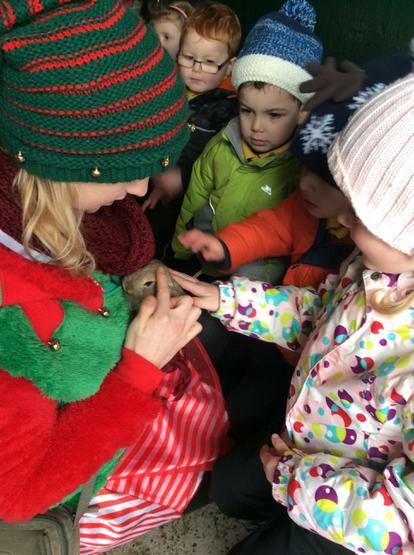 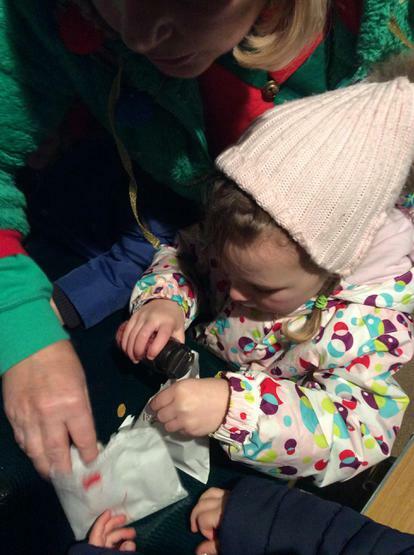 We travelled on a big bus and arrived at Streamvale greeted by Christmas elves! 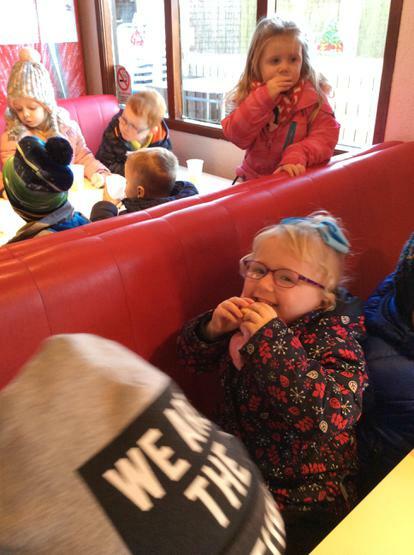 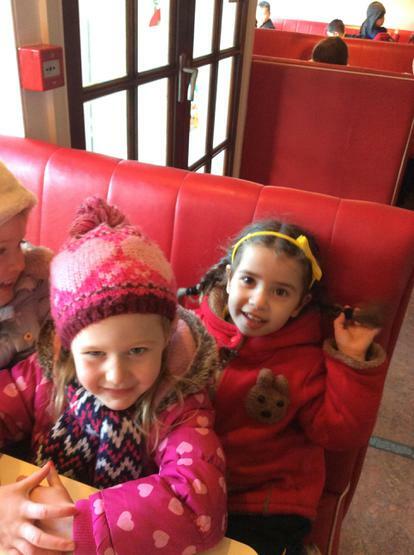 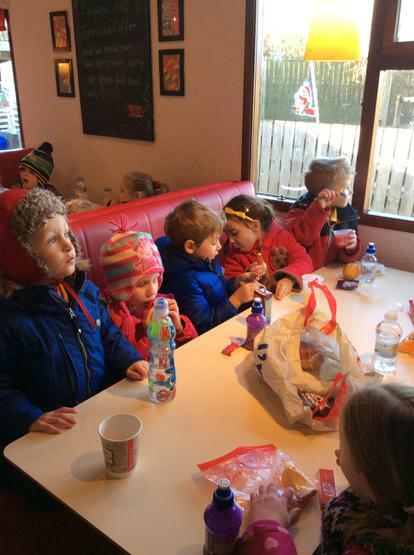 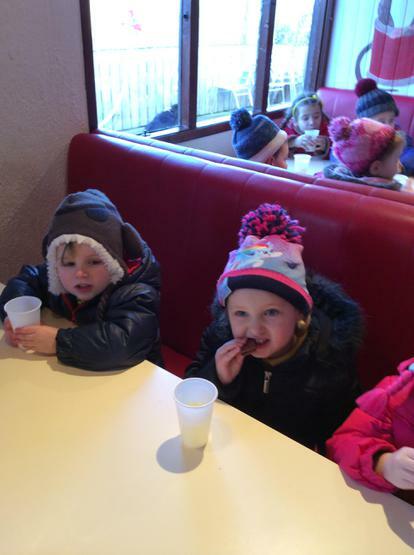 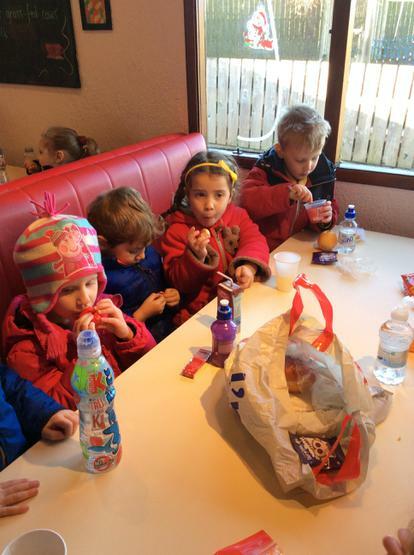 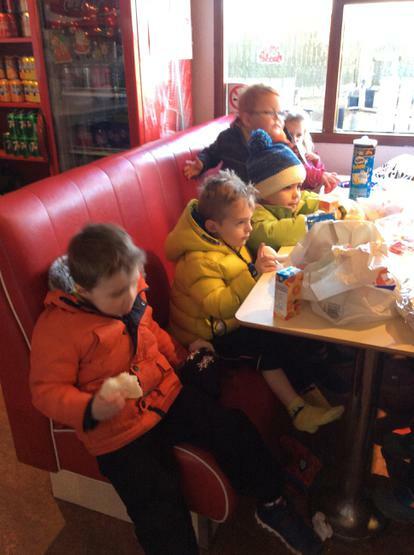 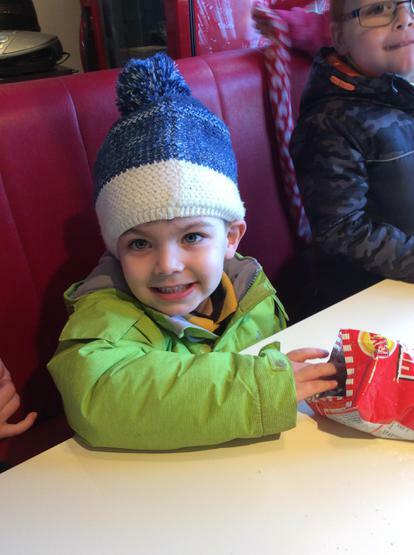 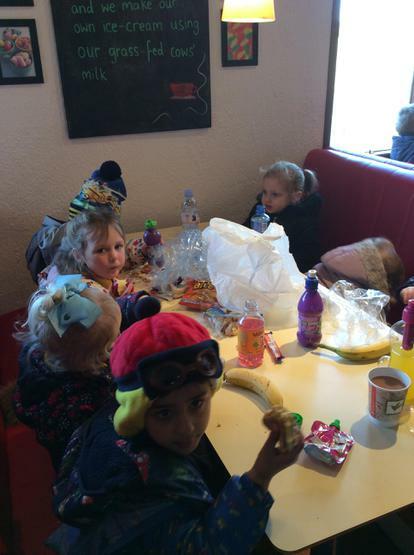 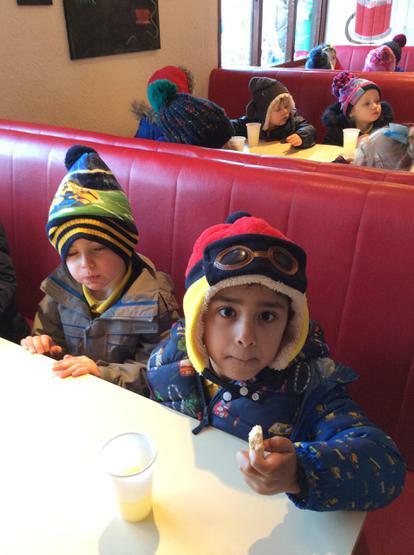 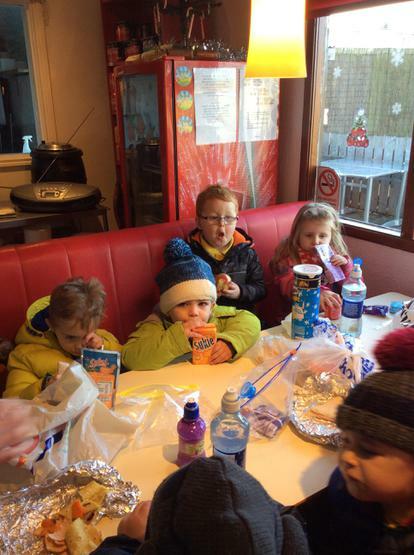 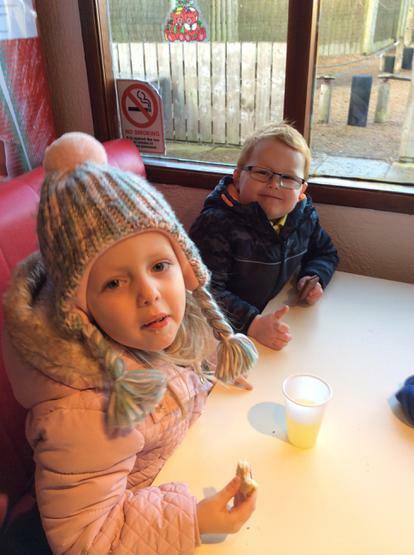 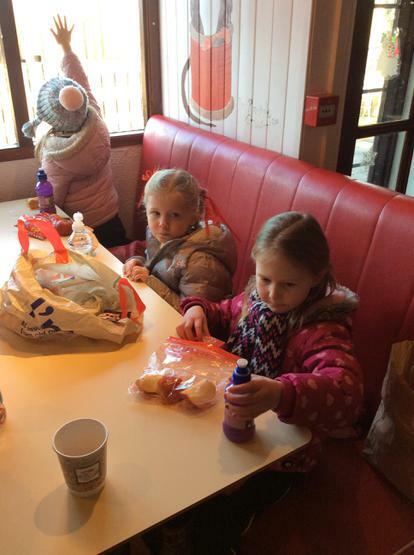 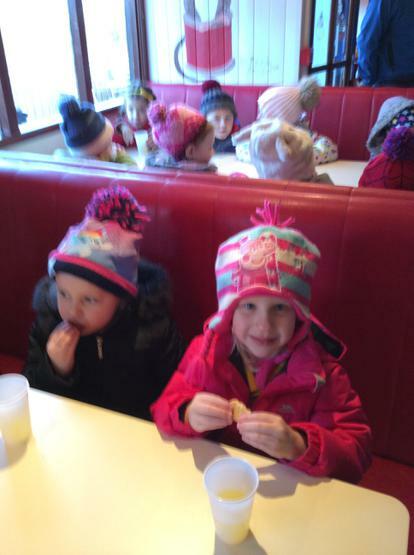 We began our visit by enjoying a small snack, before taking part in a very special tractor story ride. 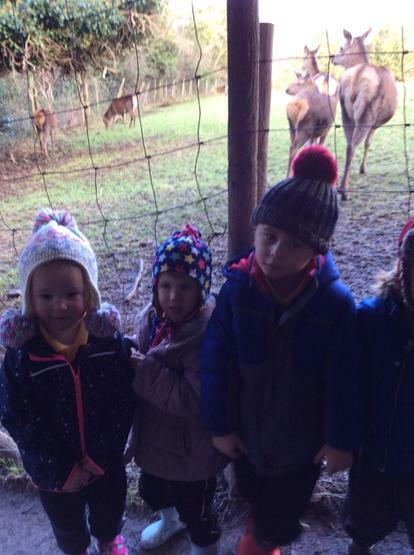 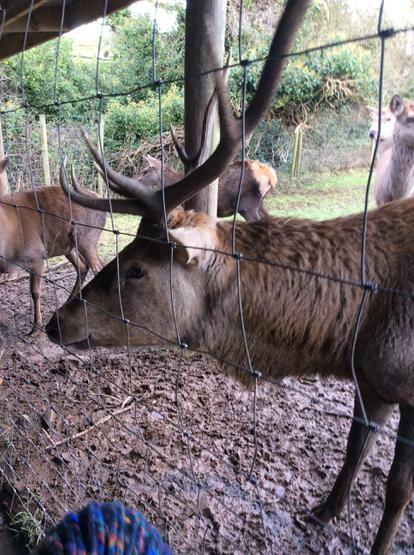 The tractor led us to a short forest walk where we discovered a family of reindeer. 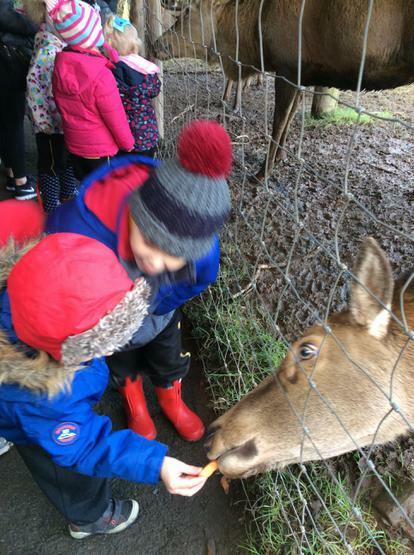 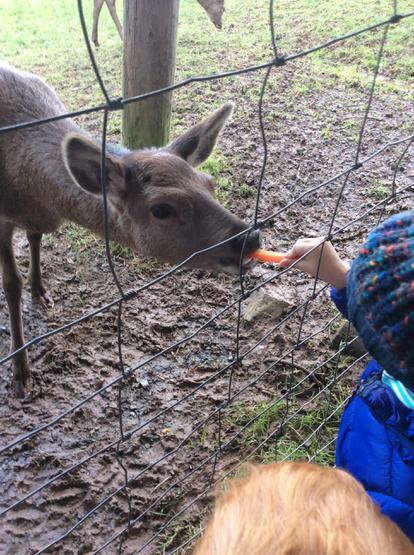 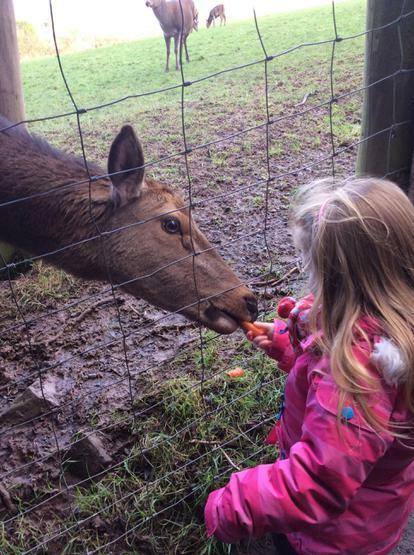 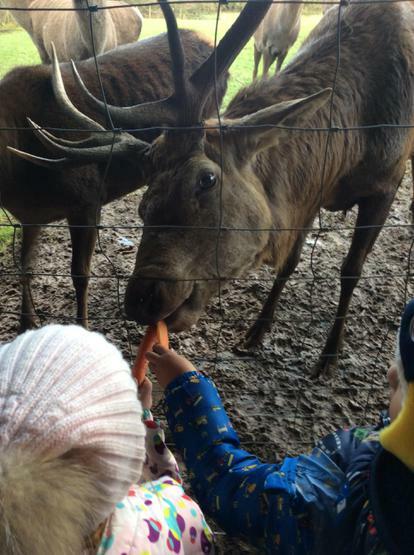 Our special elf gave us some carrots to feed the reindeer which they all devoured! 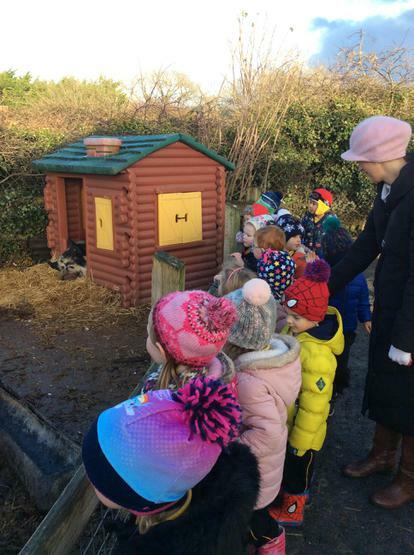 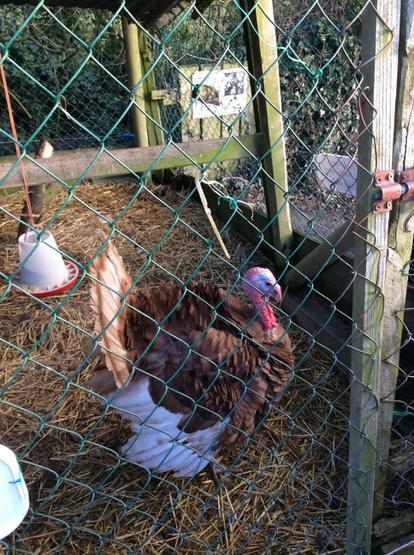 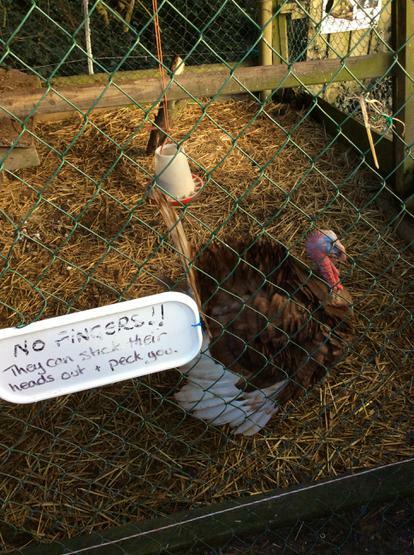 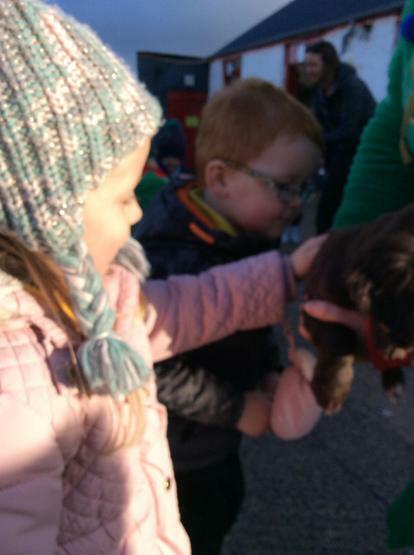 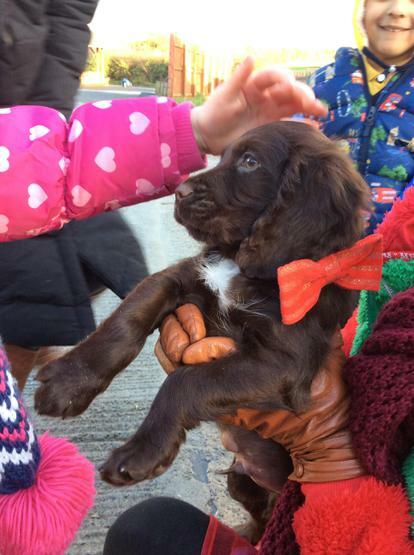 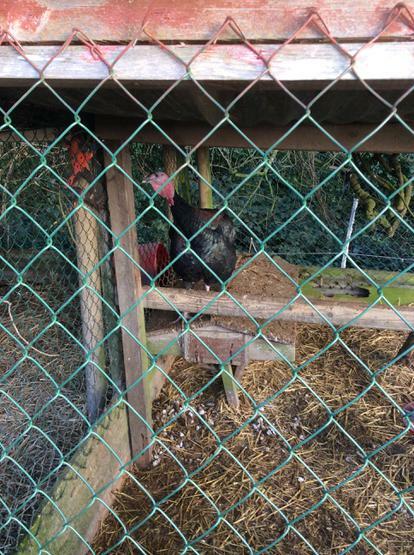 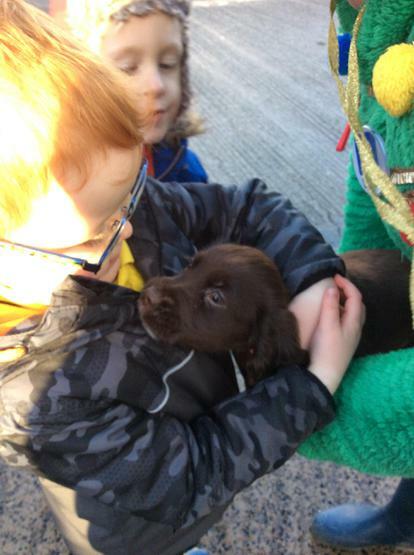 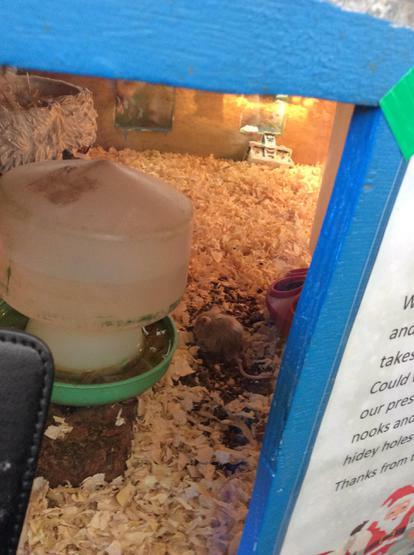 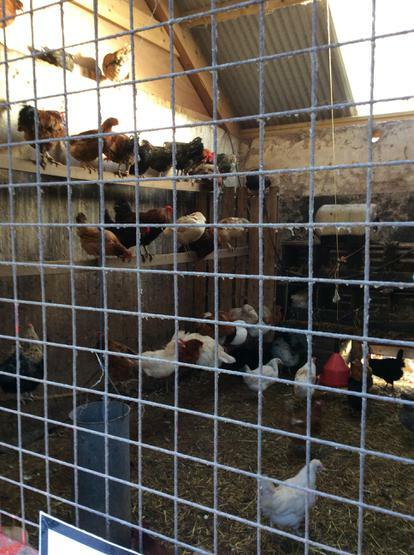 We then visited some of the other animals on the farm, including sheep, goats, turkeys, chickens, pigs, mice, guinea pigs, rabbits and two beautiful puppies! 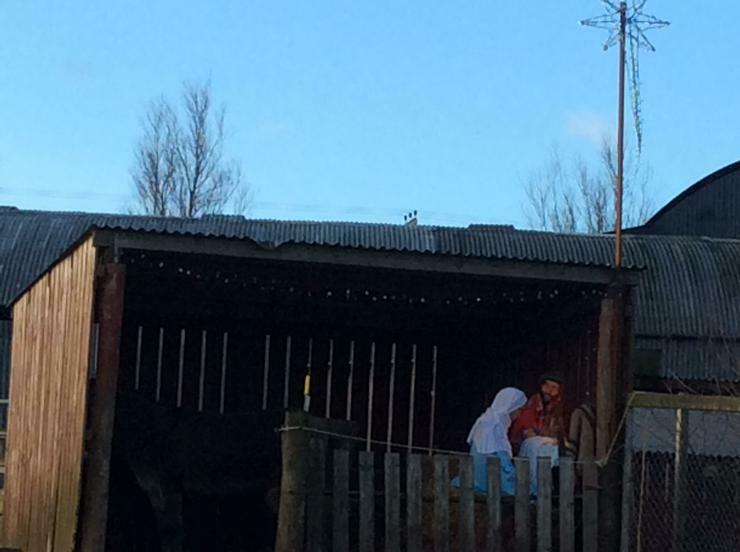 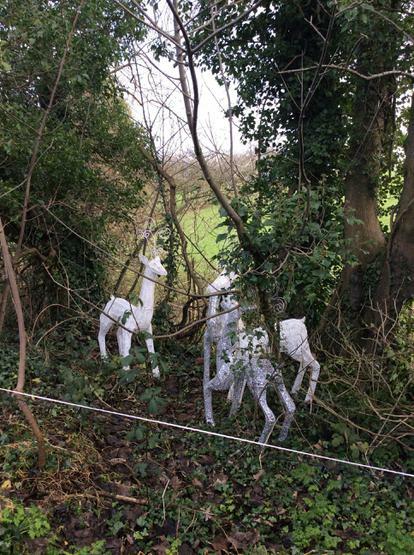 We also got to see a special nativity scene. 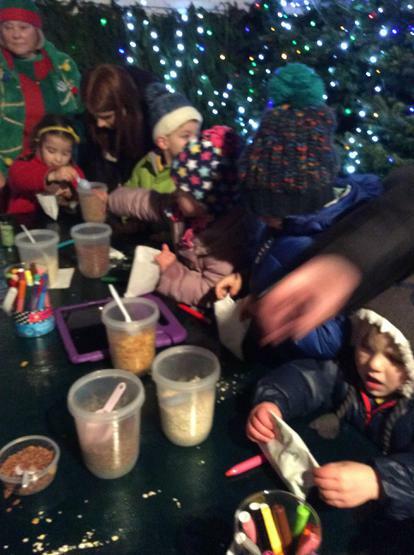 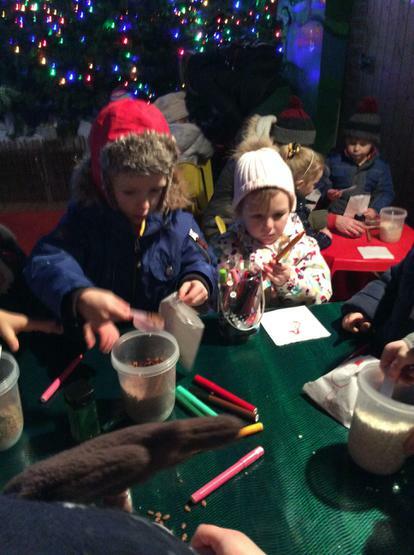 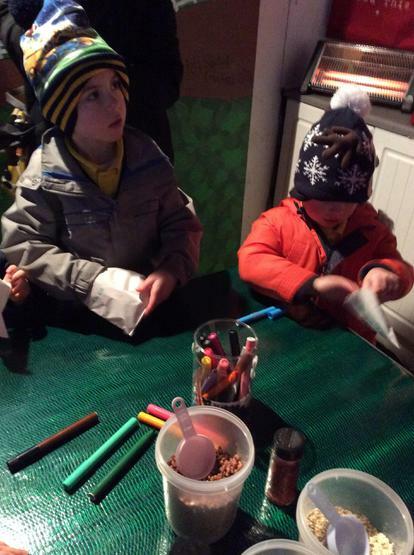 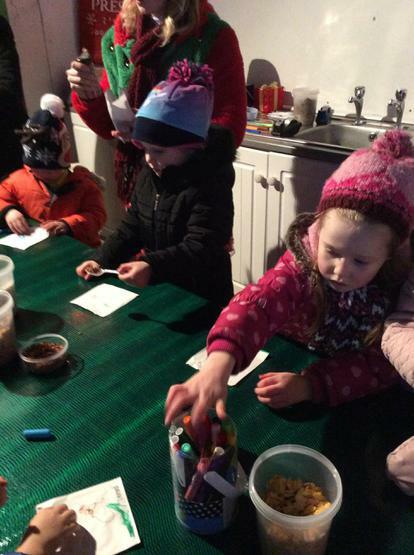 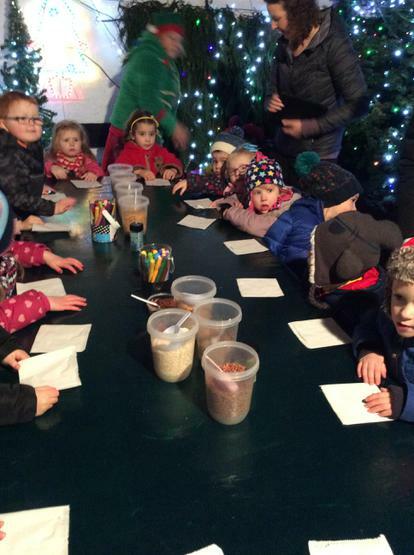 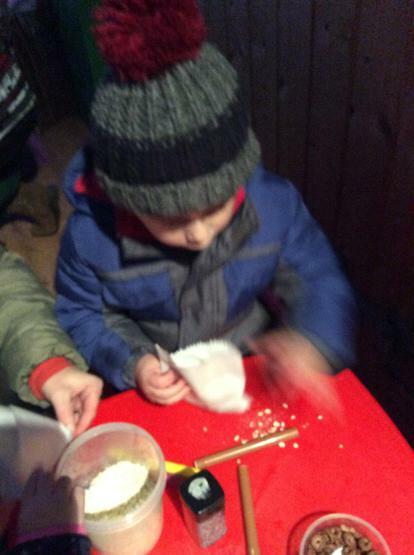 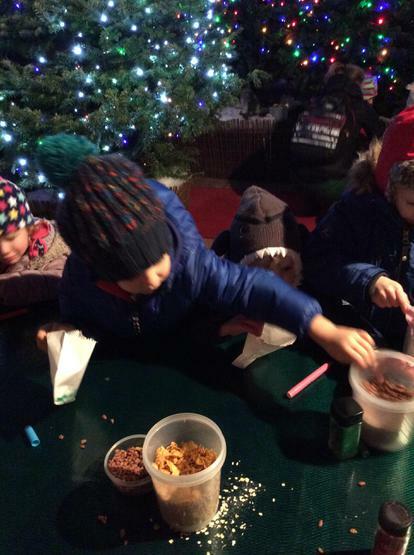 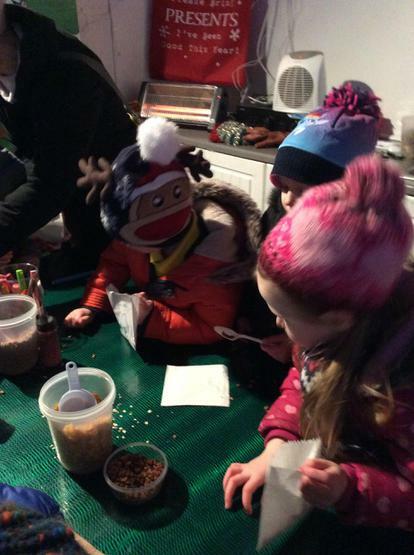 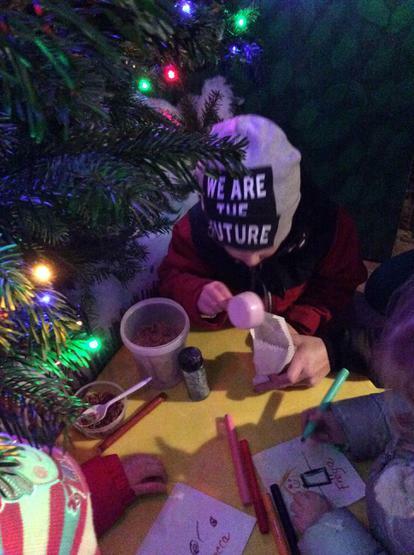 Next, we made magical reindeer food to leave out for Rudolph and the other reindeers on Christmas Eve, before waiting patiently (and very excitedly) to see Santa! 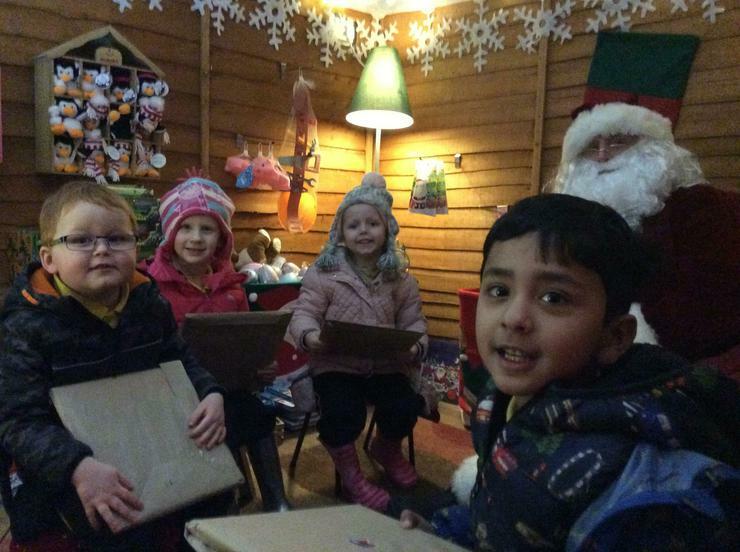 Santa talked to each boy and girl and asked them what they would like for Christmas, as well as asking them to leave him out a cookie and some milk on Christmas Eve. 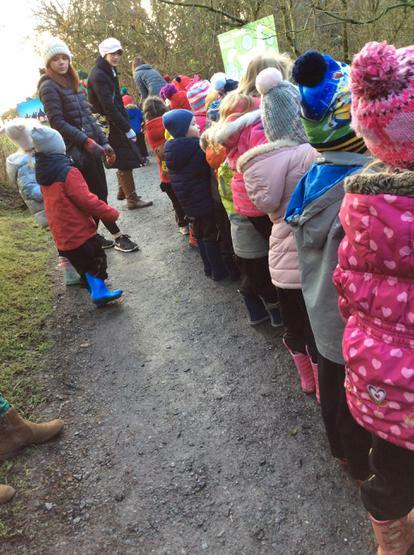 He also told each boy and girl to try their best and be well behaved over this next week. 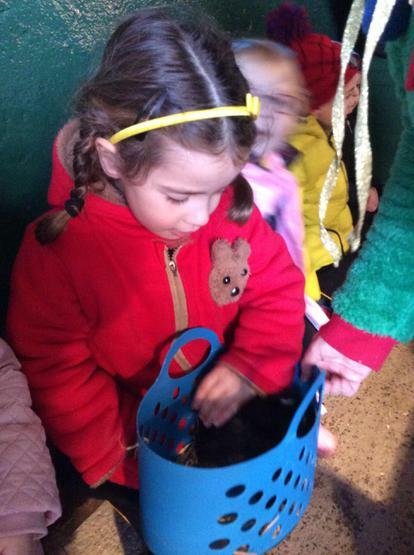 Santa also gave everyone a small gift. 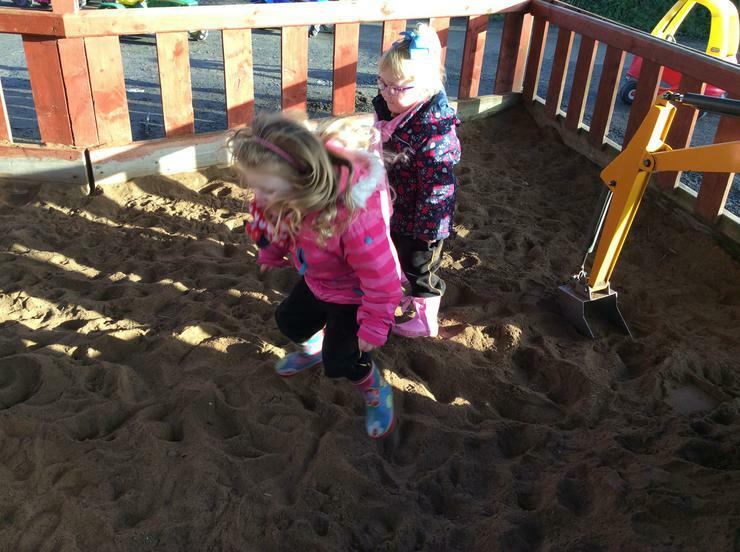 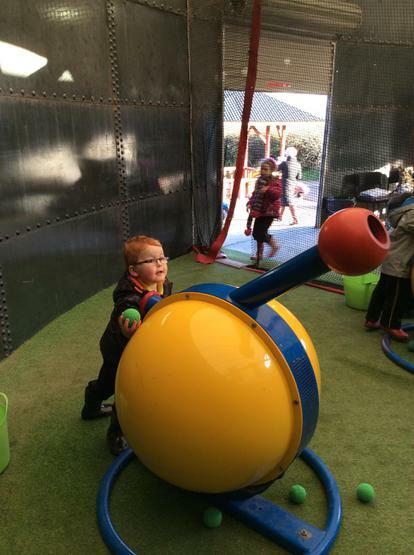 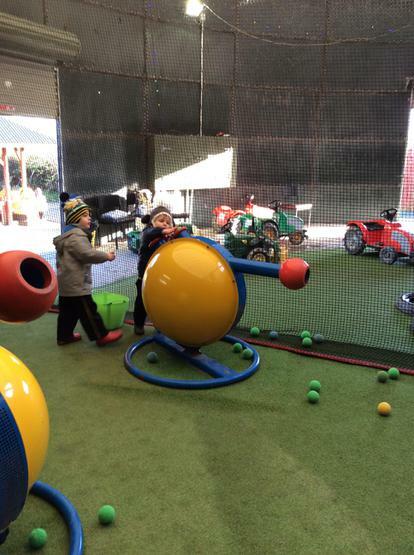 We then had a chance to play in the outdoor play area, before enjoying our special picnic lunch. 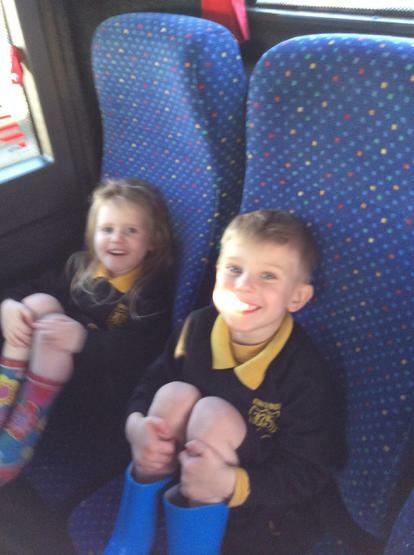 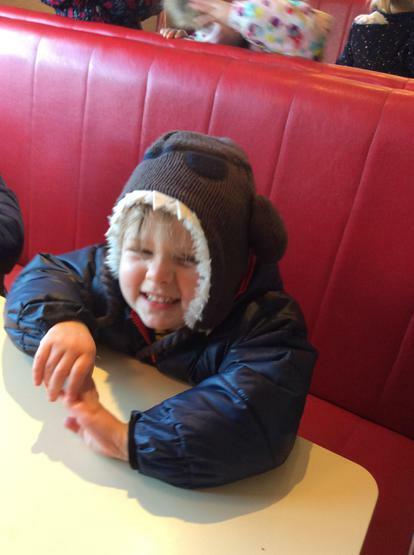 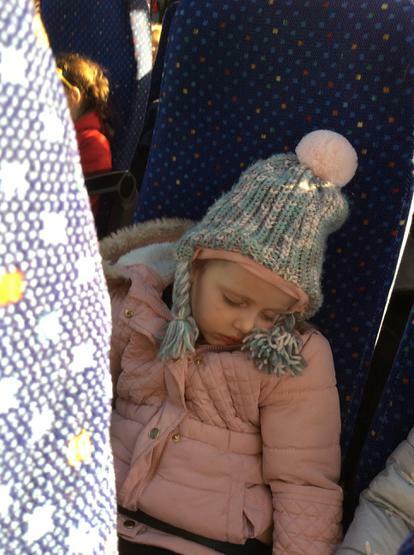 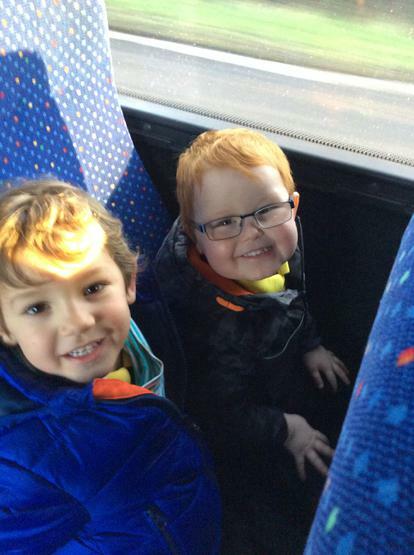 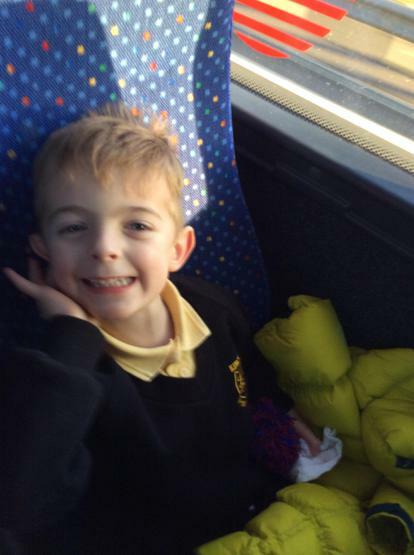 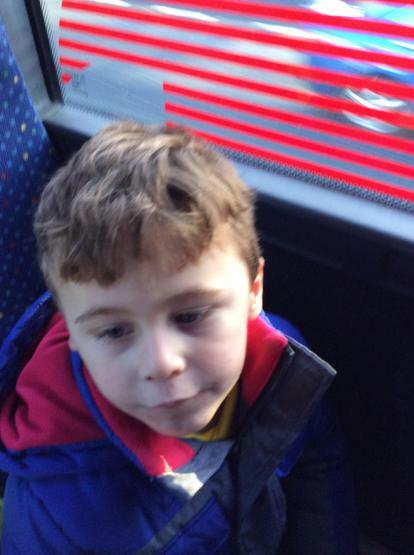 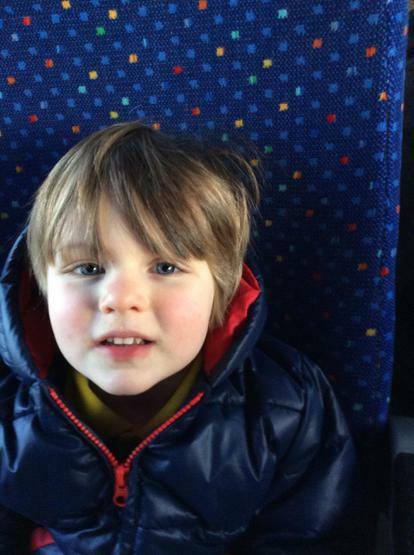 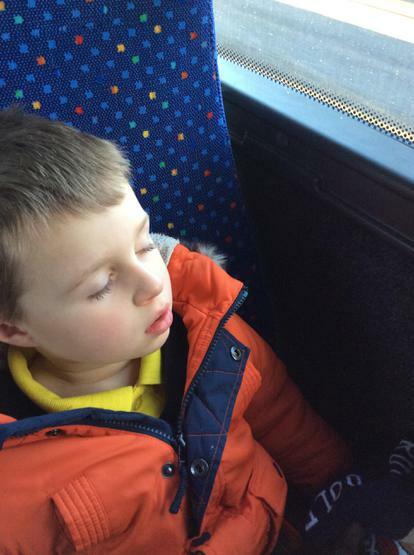 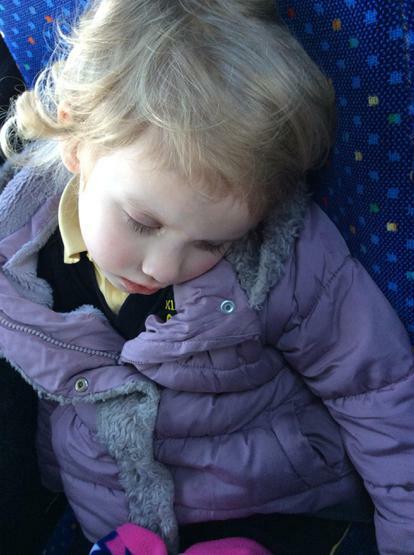 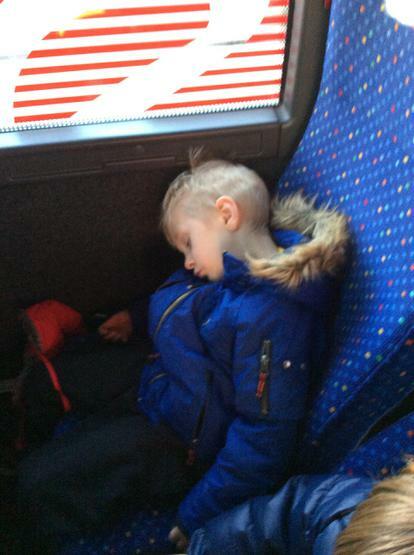 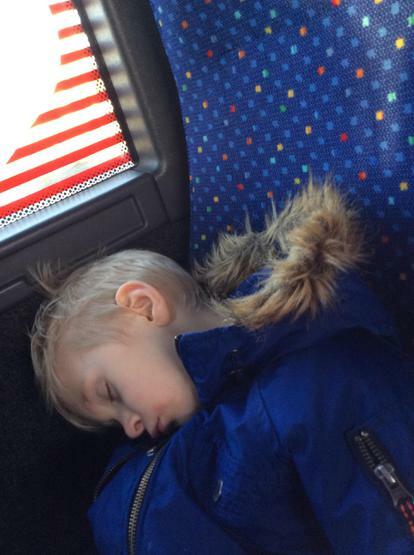 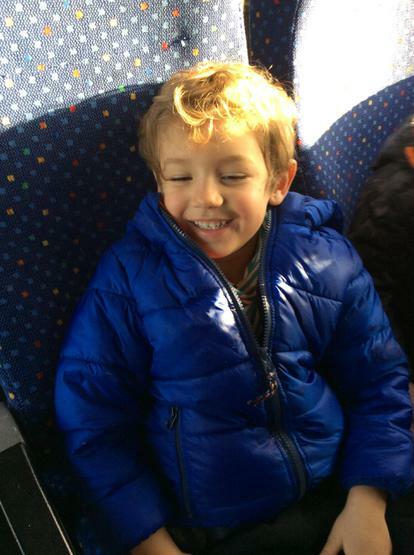 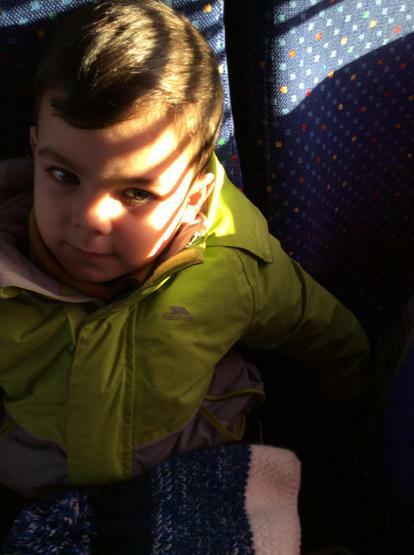 Finally, we headed back to Nursery on the big bus! 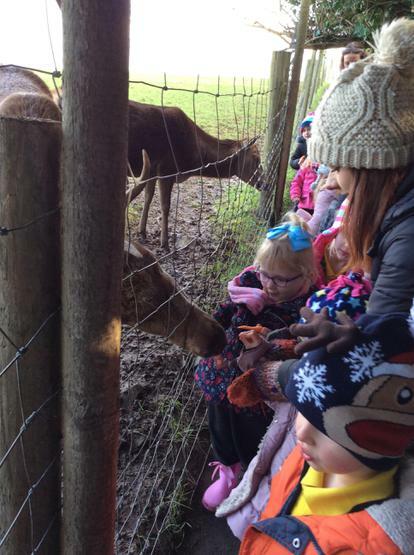 We had such a great trip. 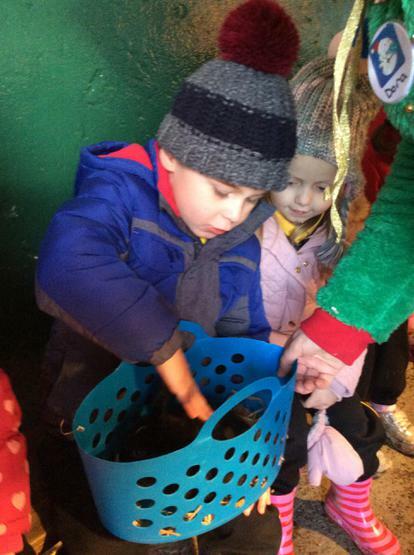 Thank you to all of the special helpers who accompanied us!